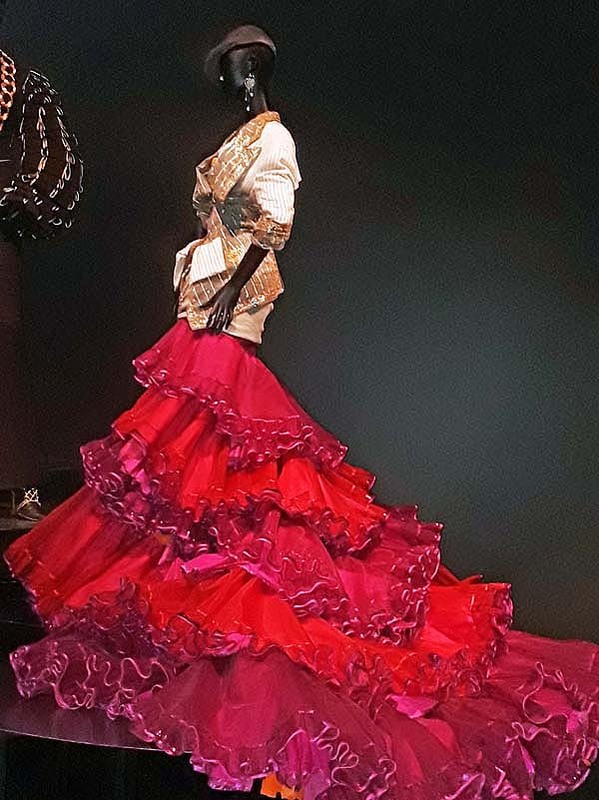 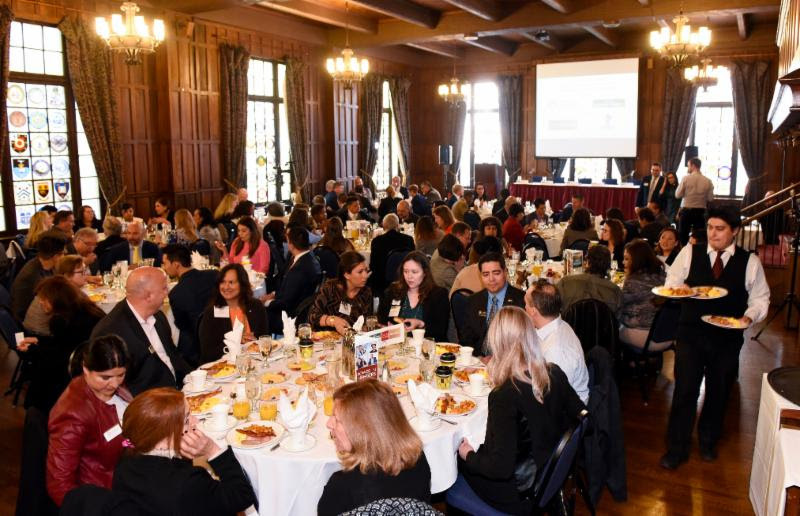 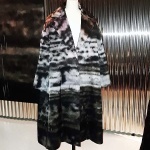 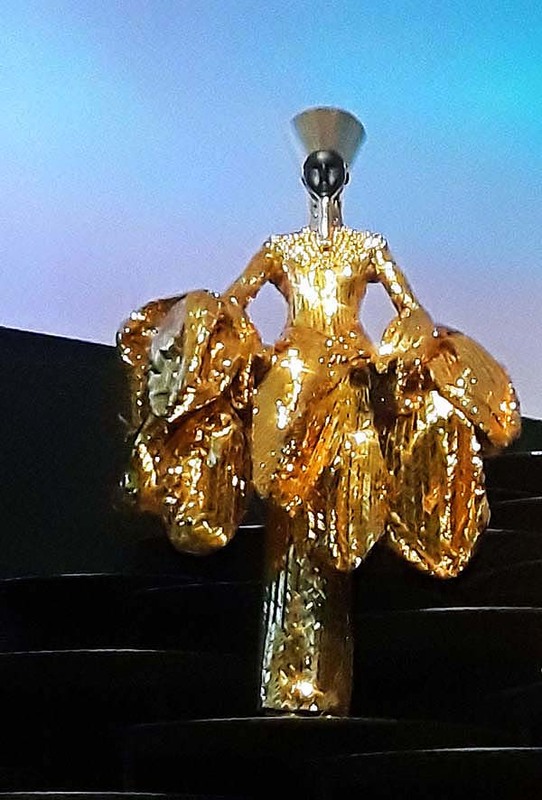 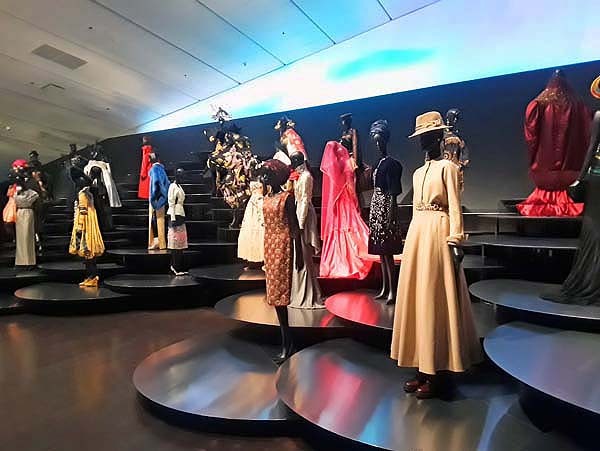 Denver may not be known as a fashion capital but for the next few months it will be the only place to see the glamour that has dominated the fashion world for more than seven decades. 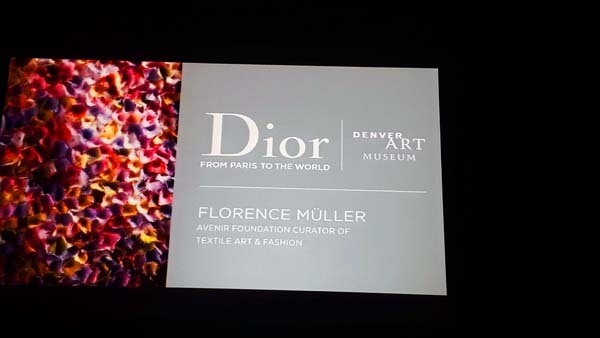 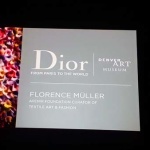 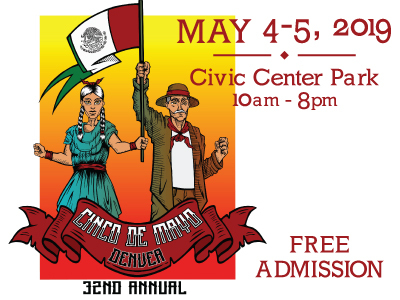 Denver is the first and only location outside of Paris France that will host this elaborate exhibition. 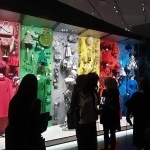 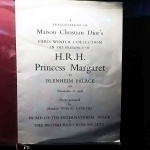 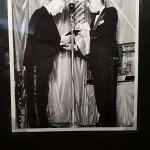 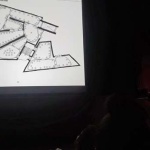 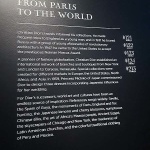 It is not a traveling exhibit and is expected to bring visitors from around the world. 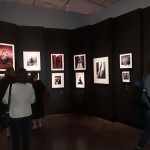 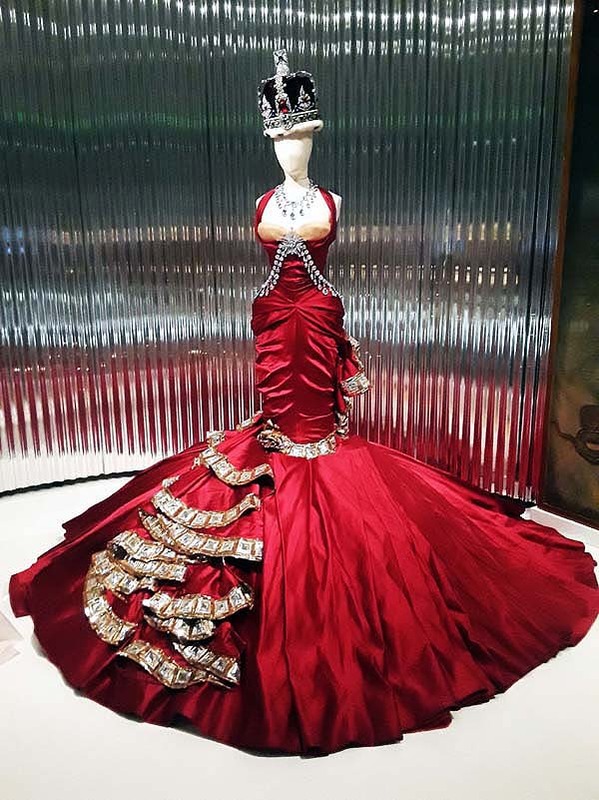 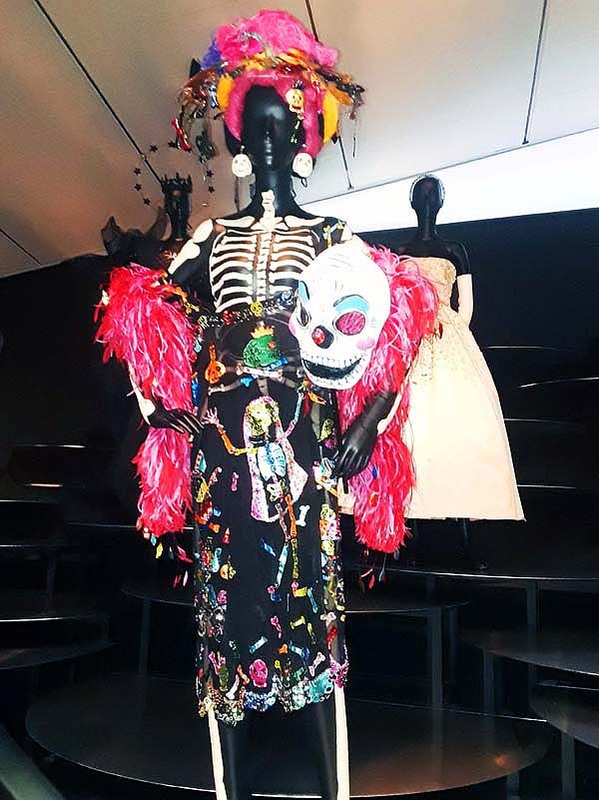 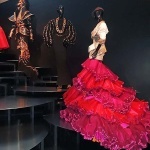 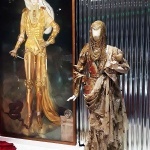 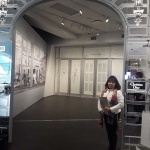 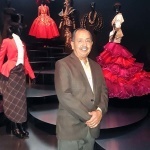 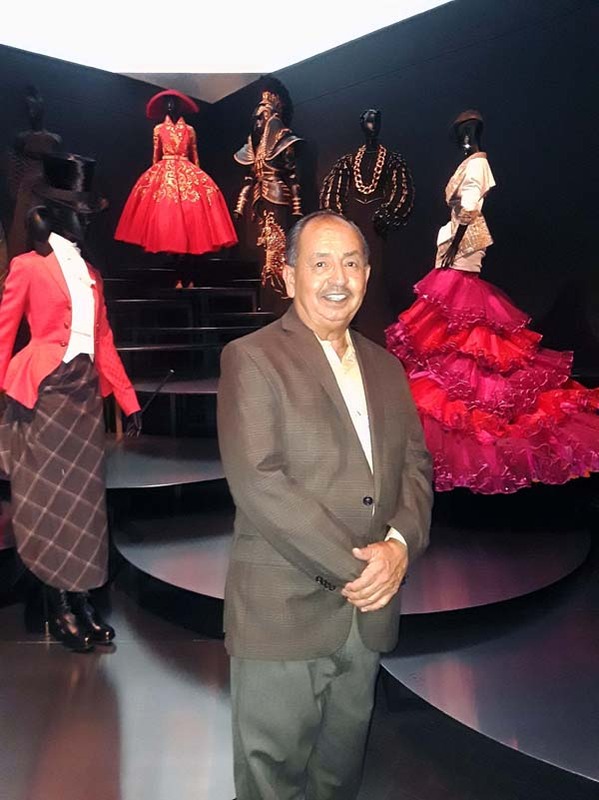 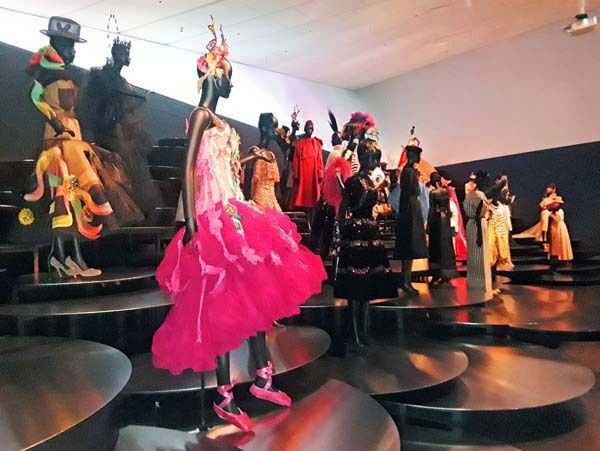 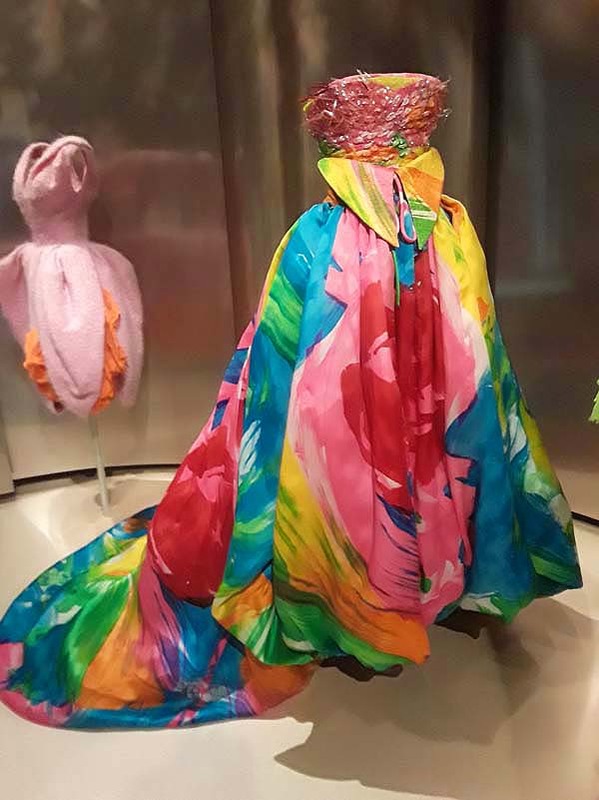 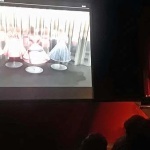 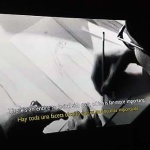 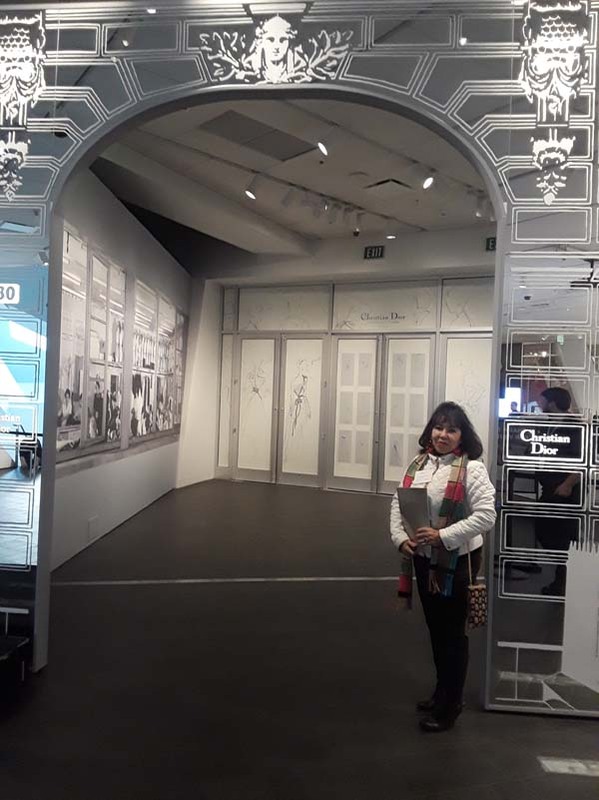 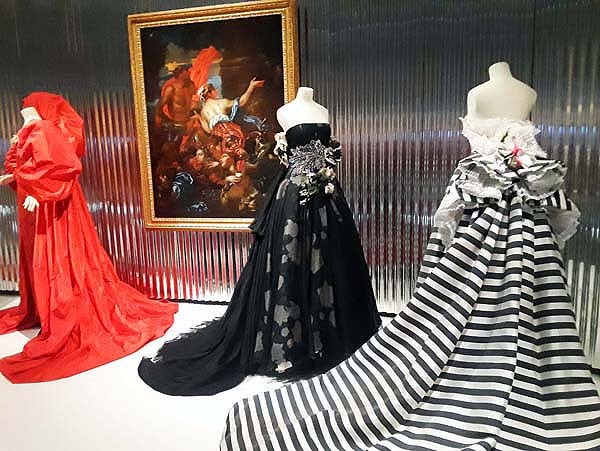 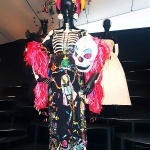 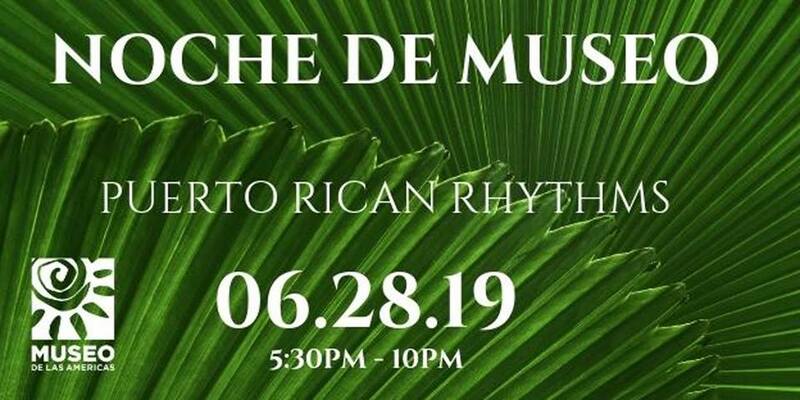 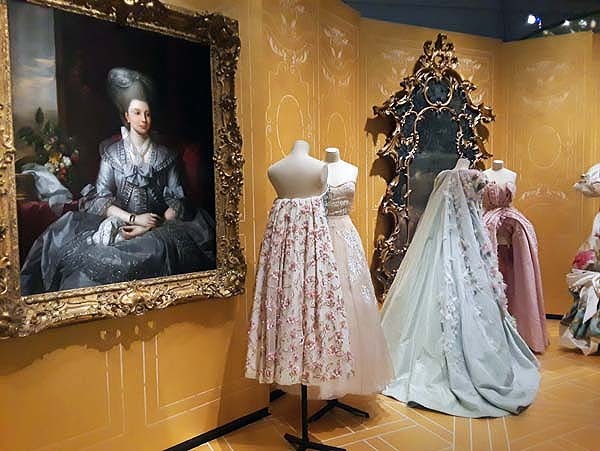 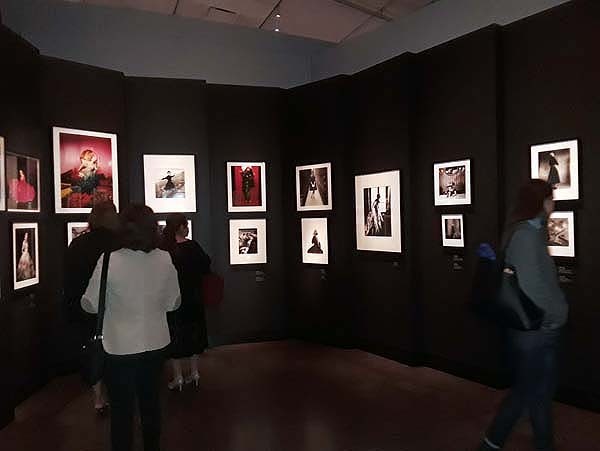 Latin Life Denver Media got a preview of this astoundingly beautiful exhibit which opens November 19th and runs through March 3, 2019. 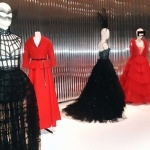 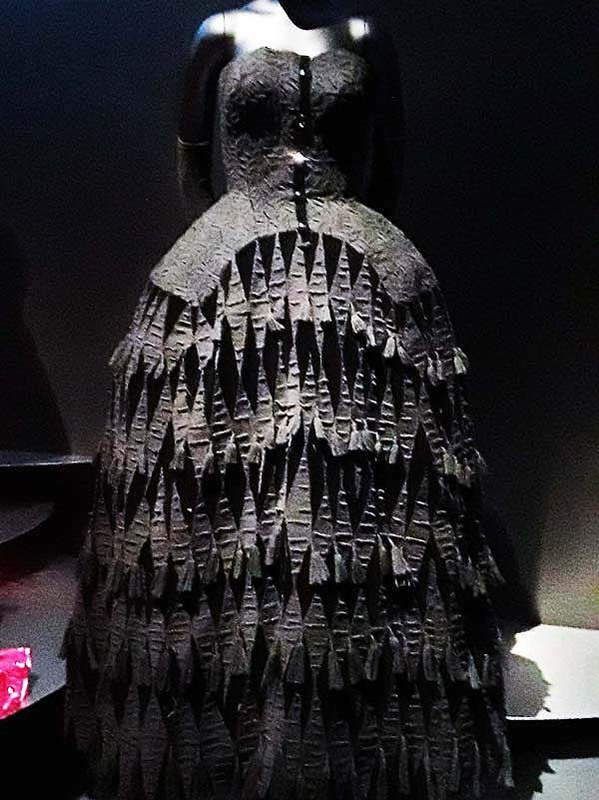 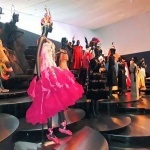 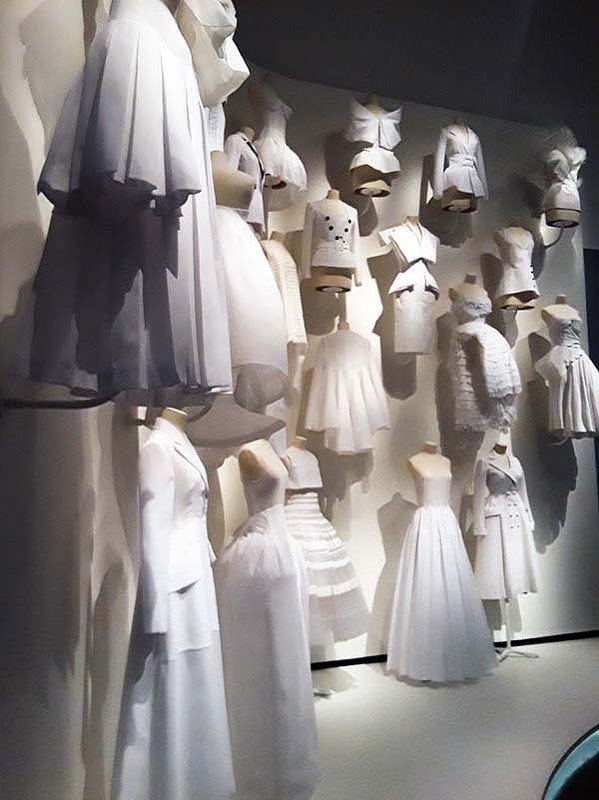 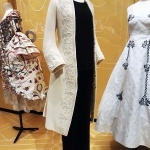 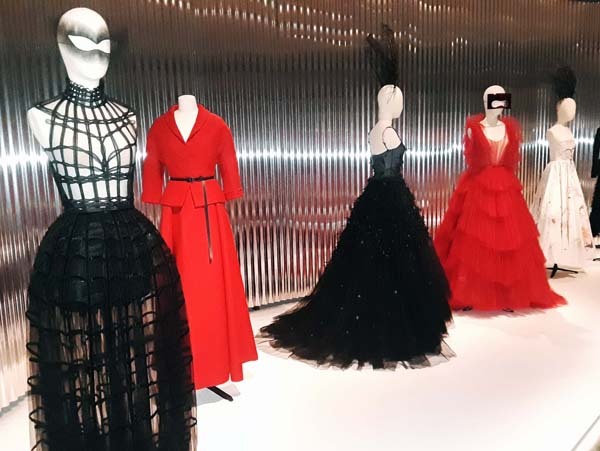 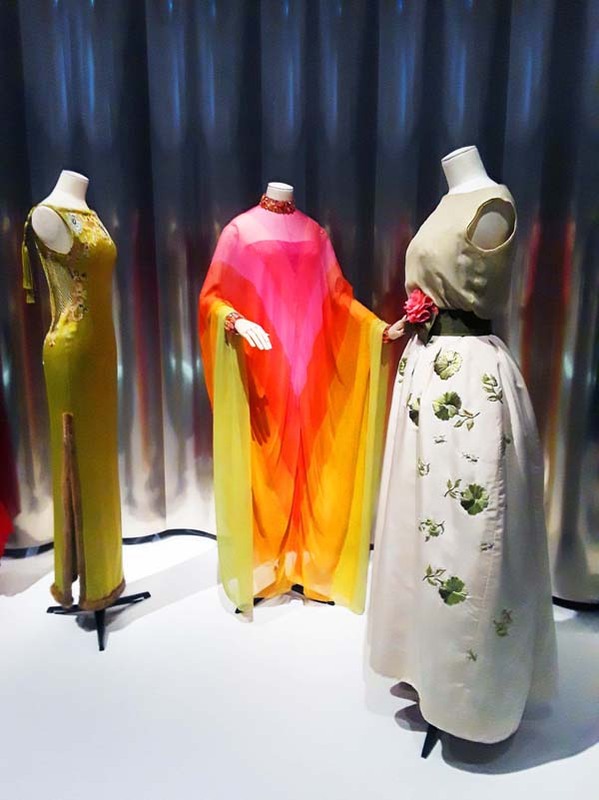 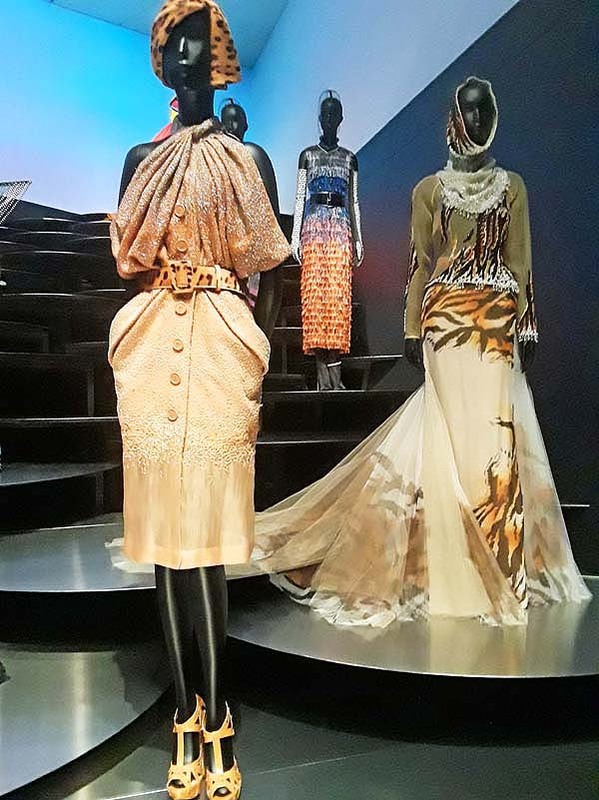 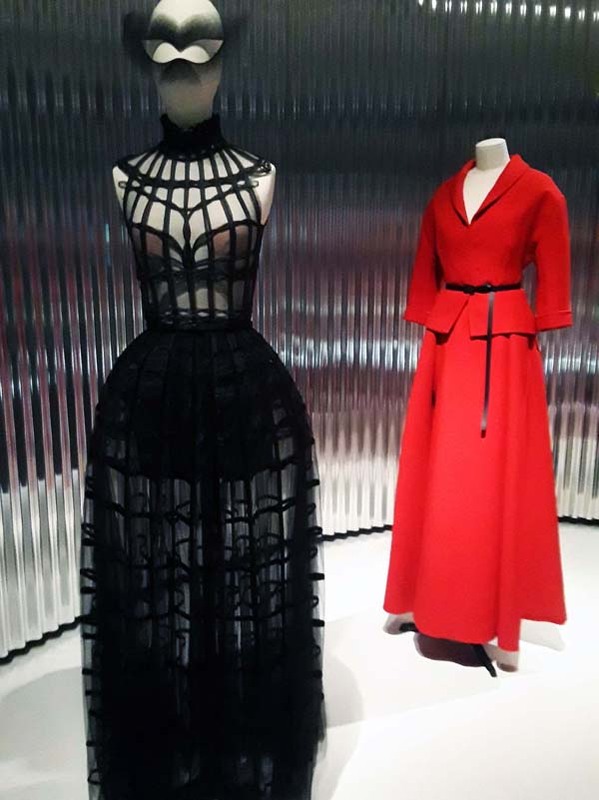 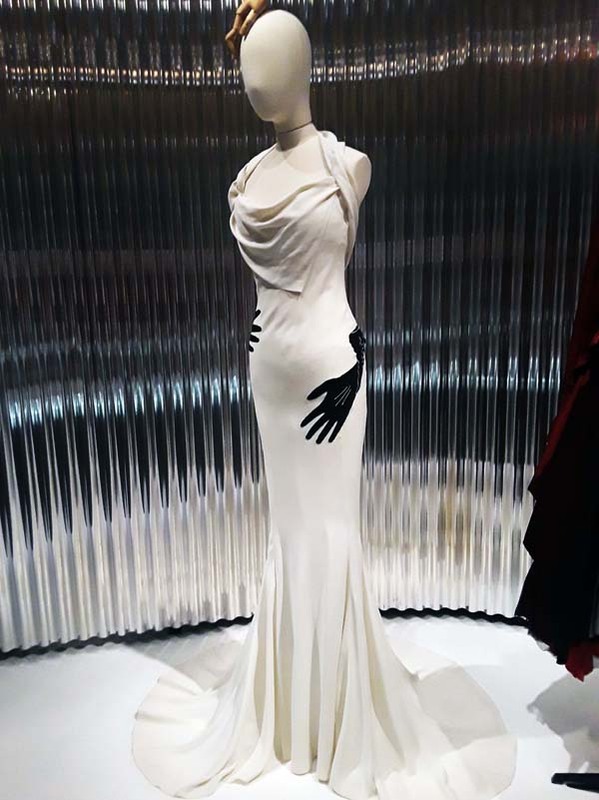 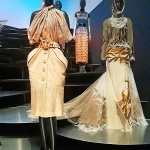 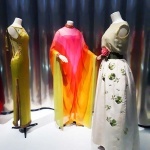 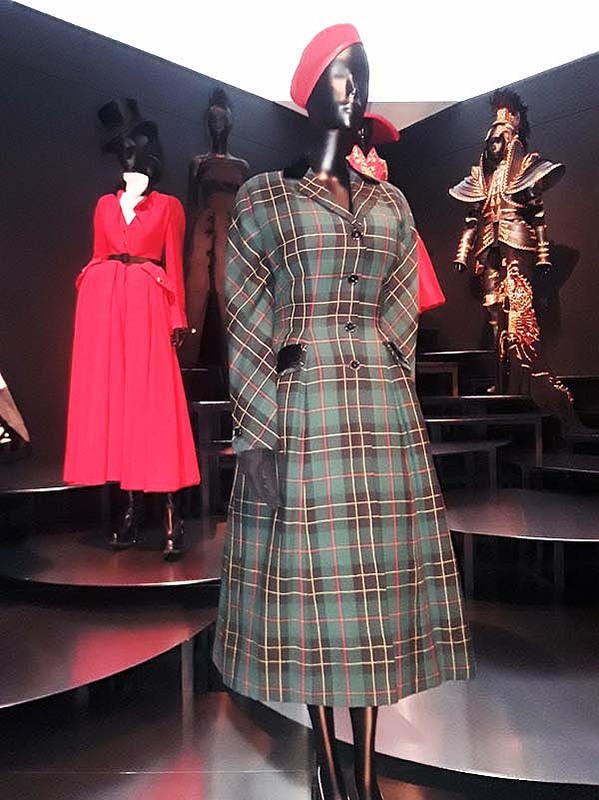 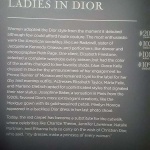 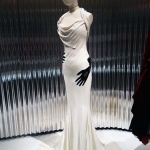 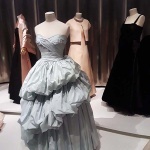 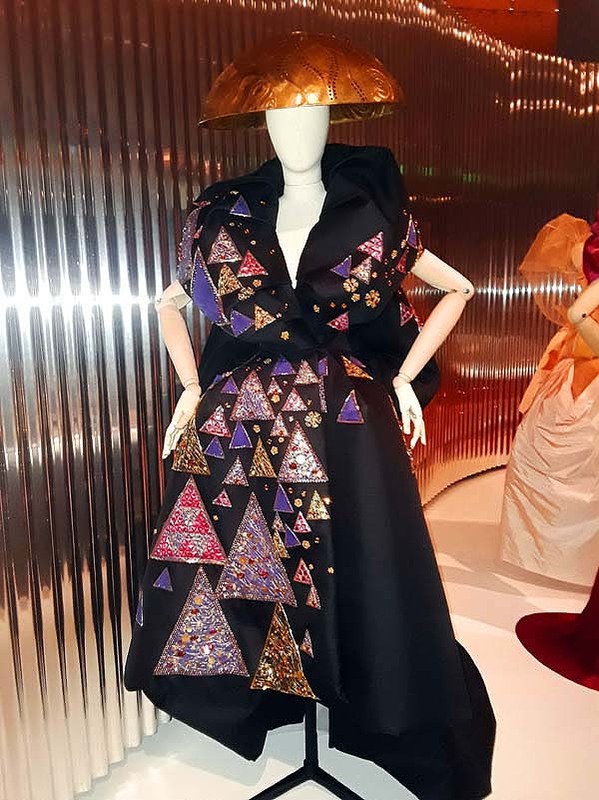 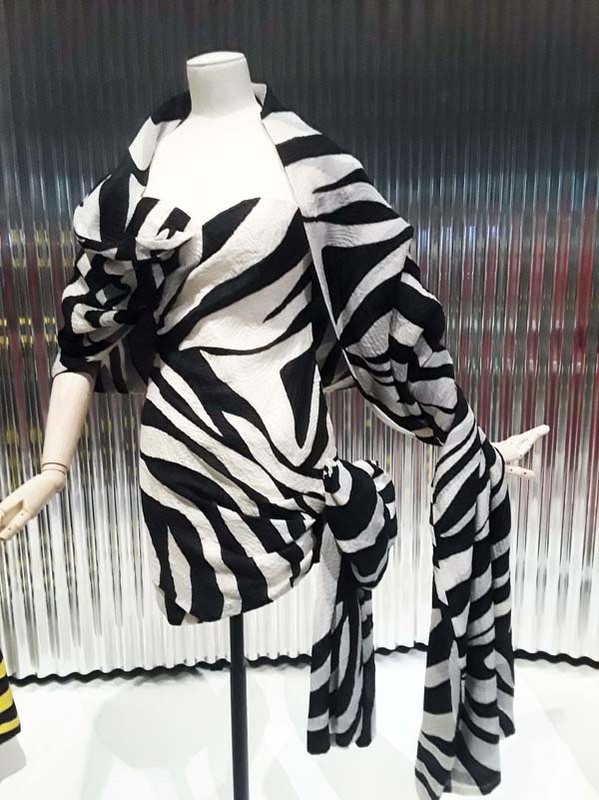 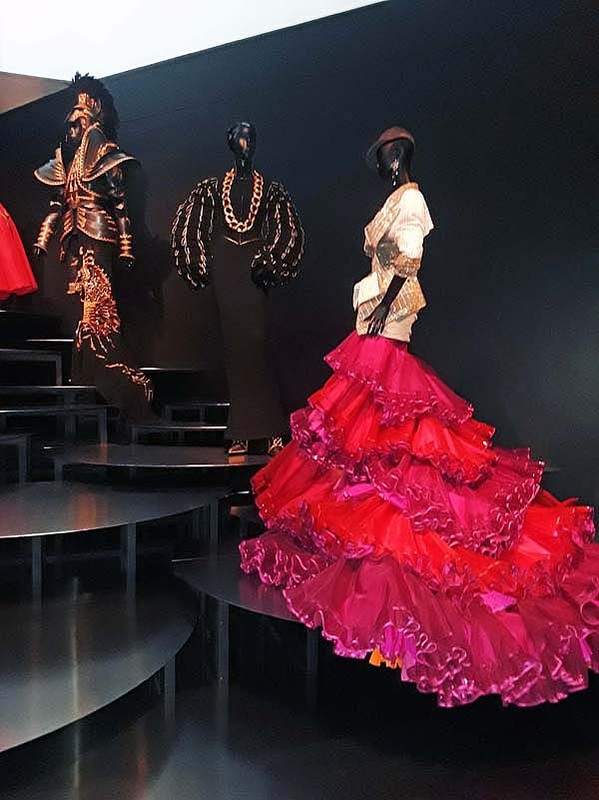 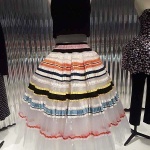 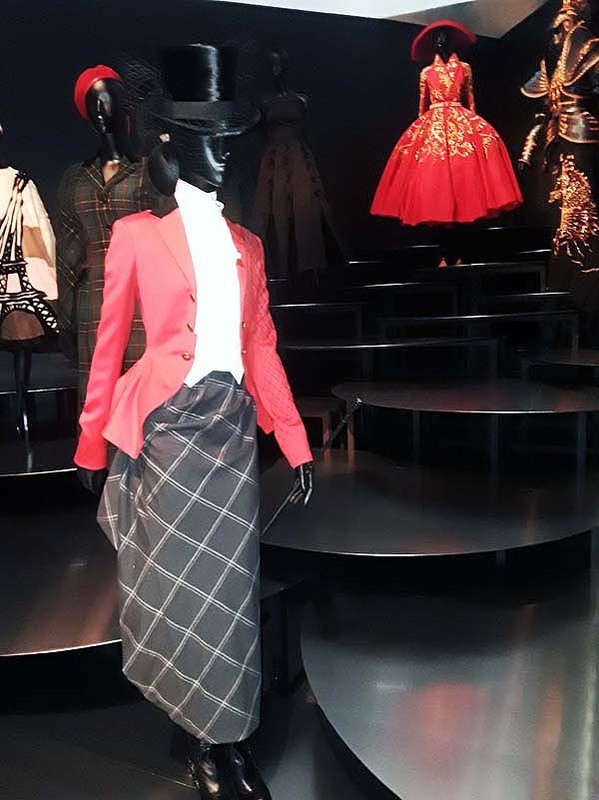 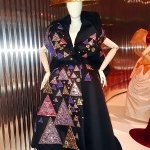 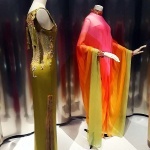 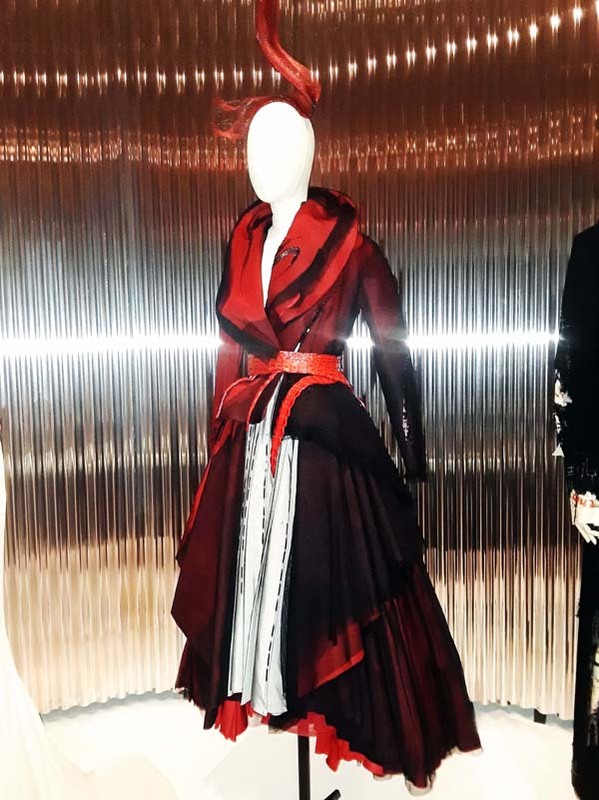 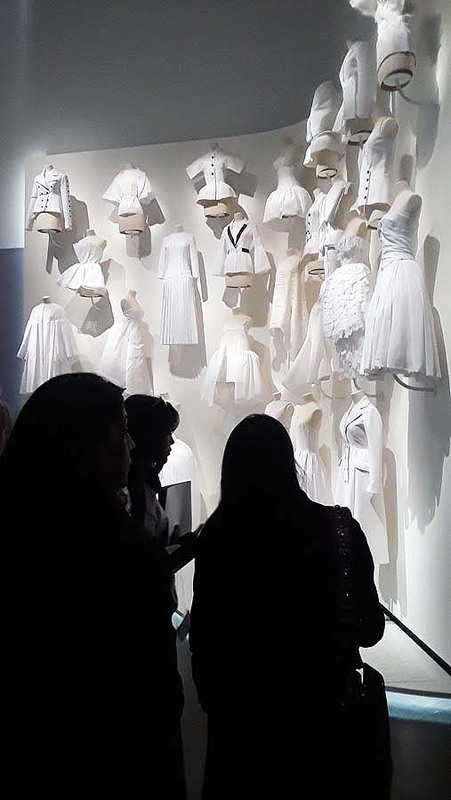 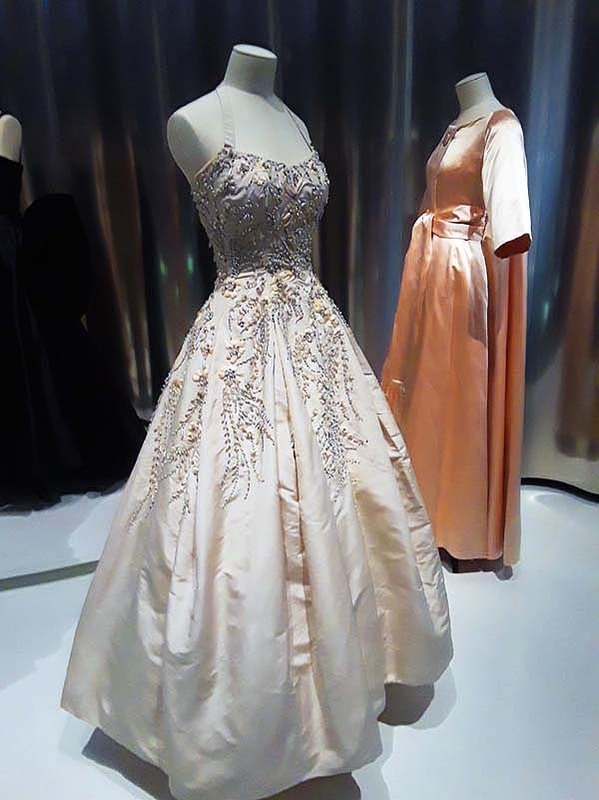 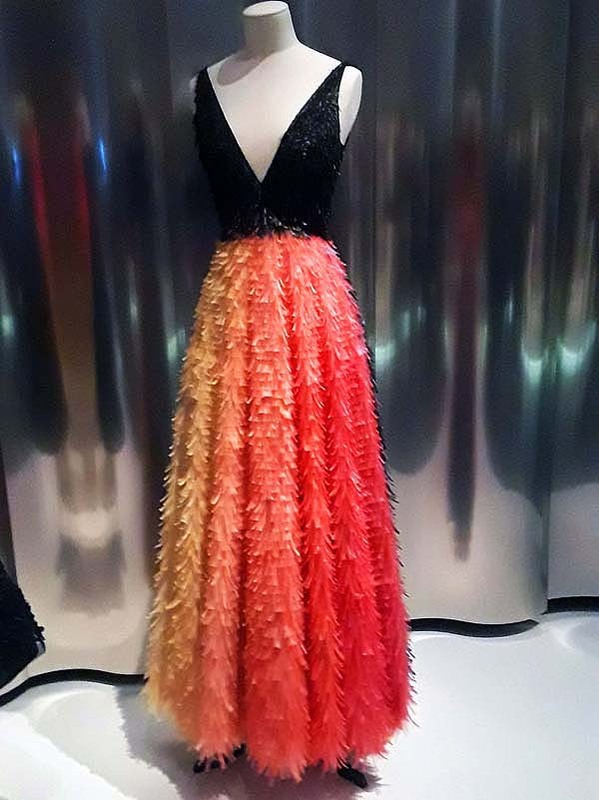 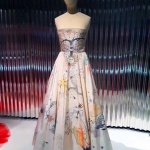 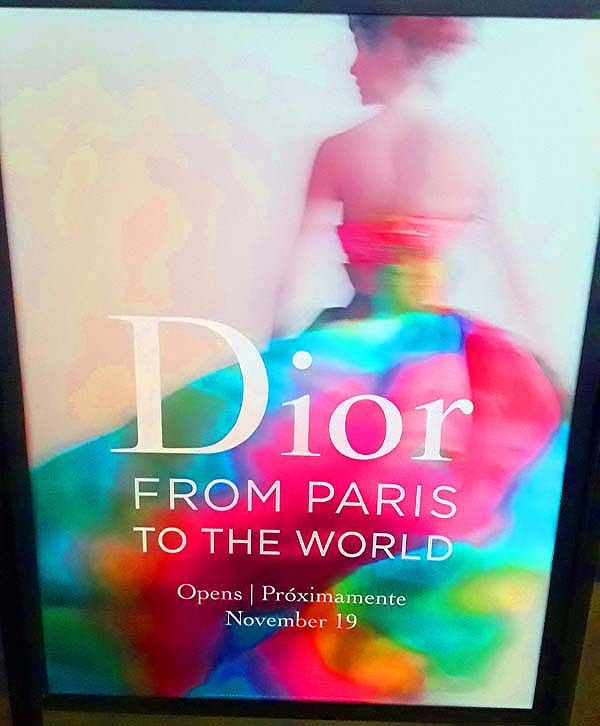 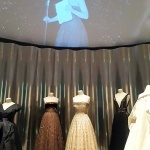 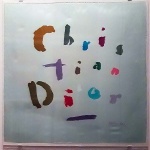 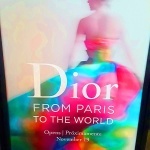 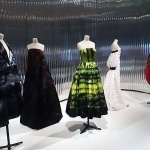 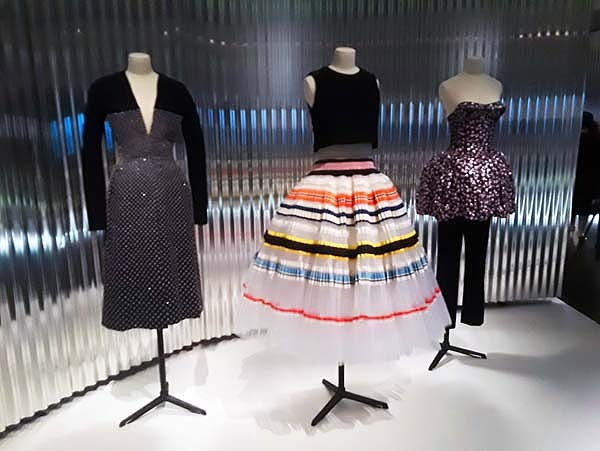 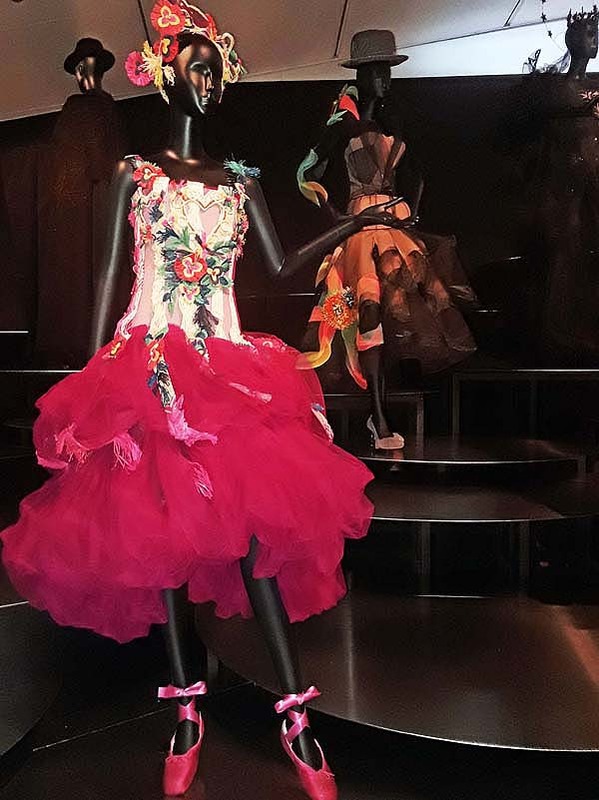 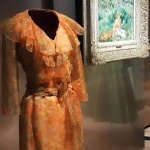 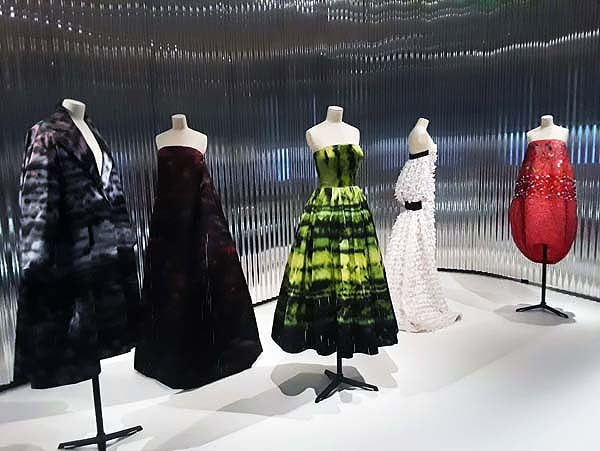 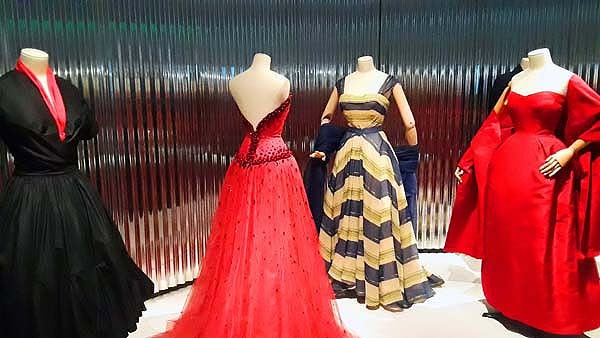 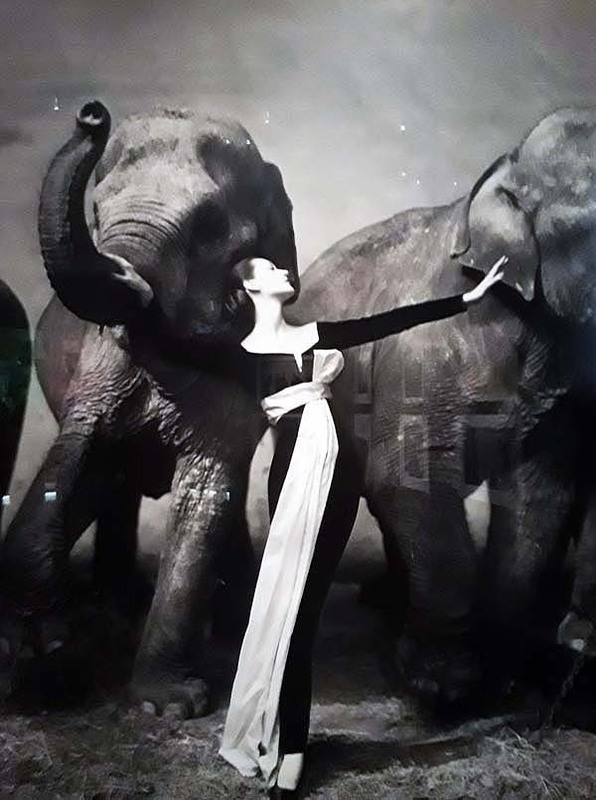 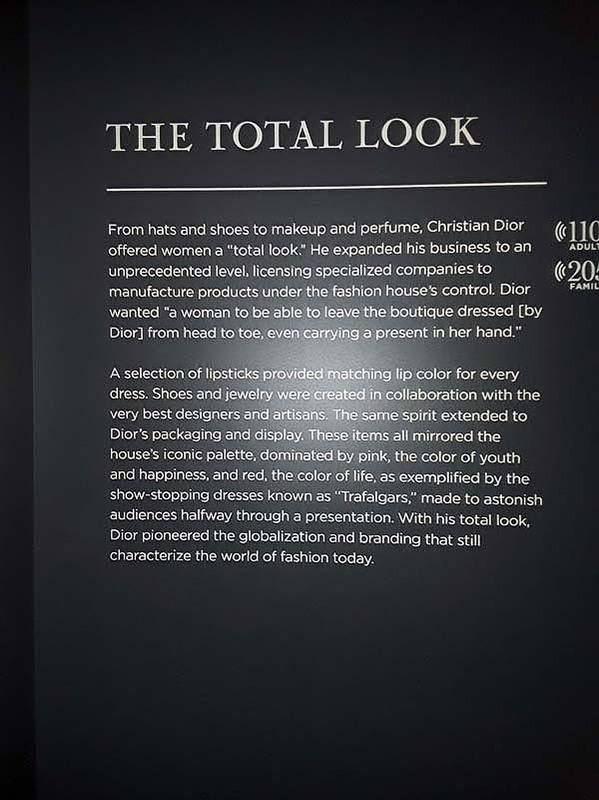 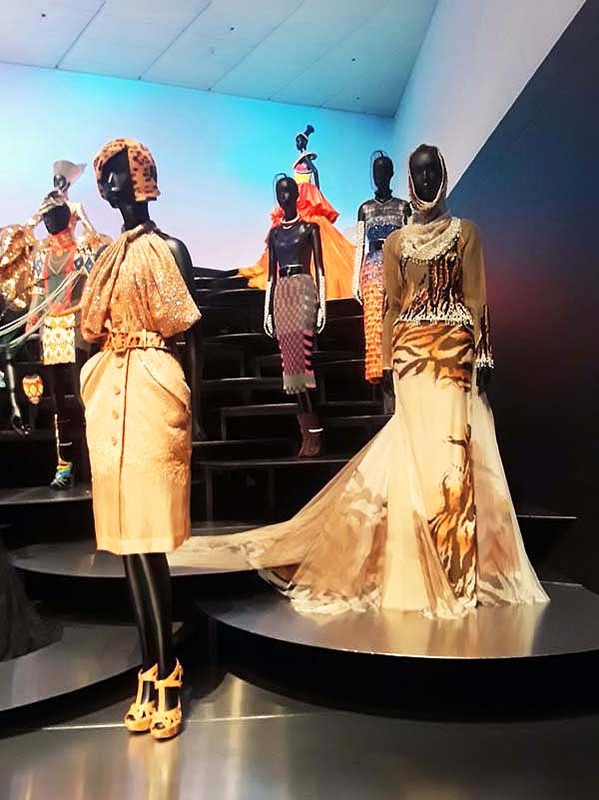 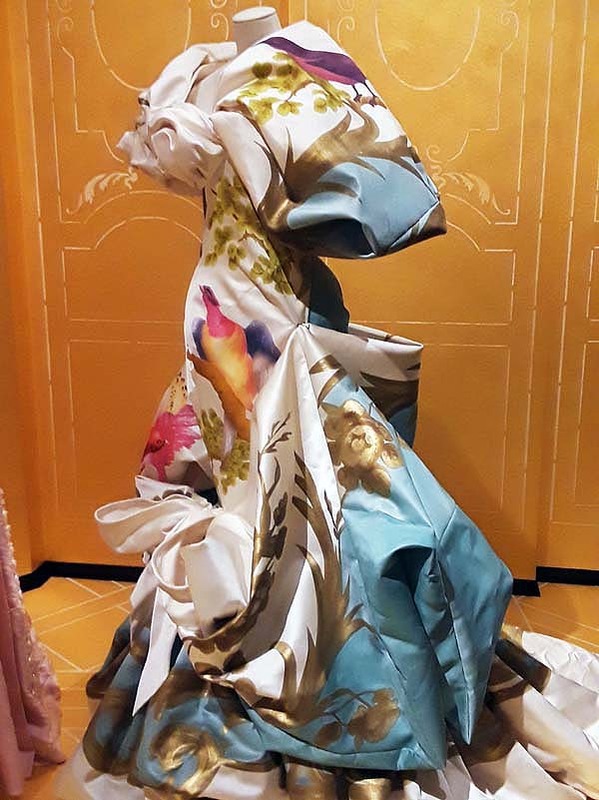 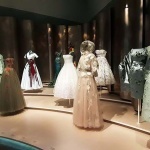 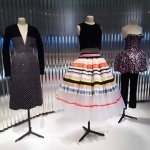 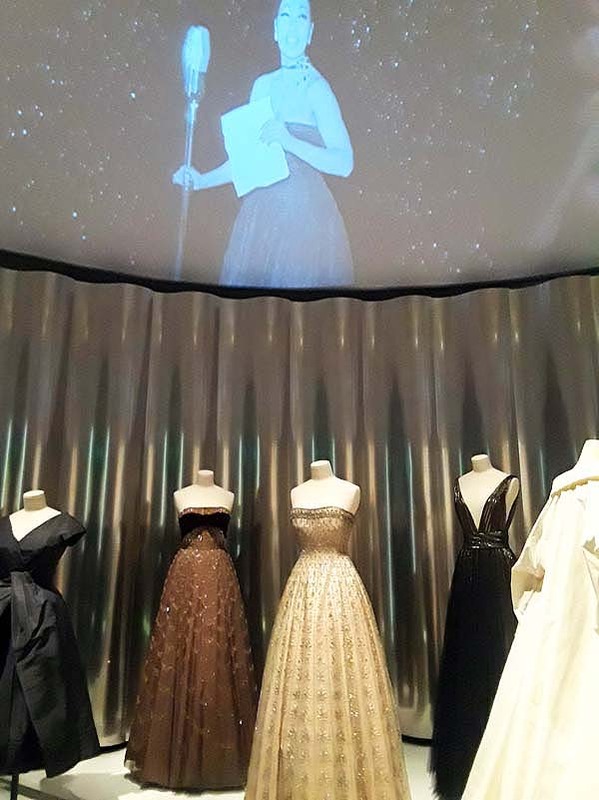 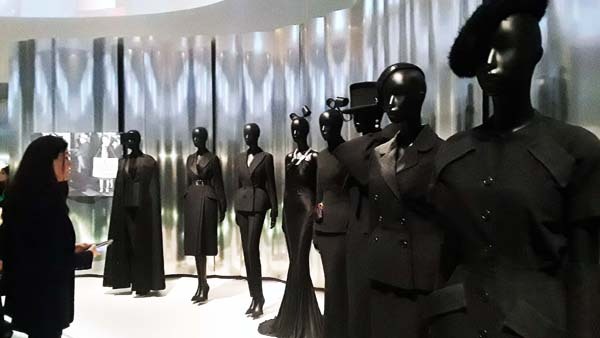 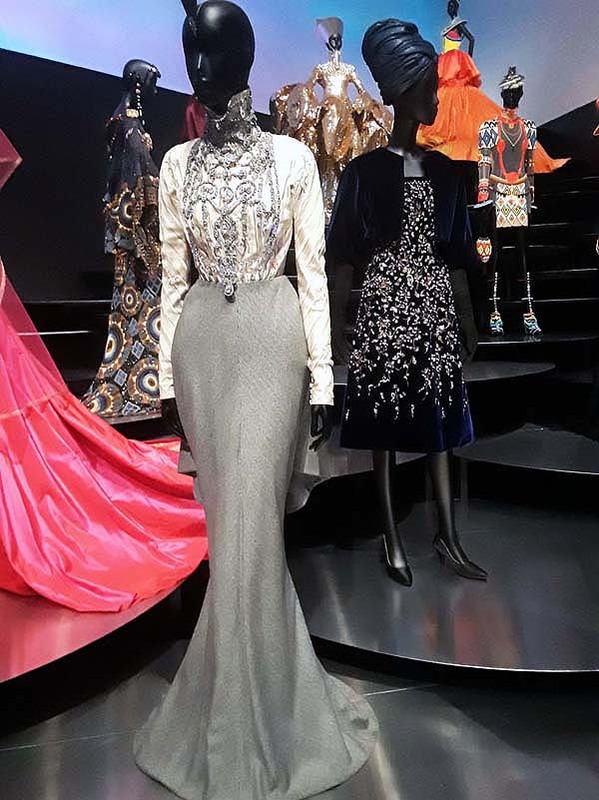 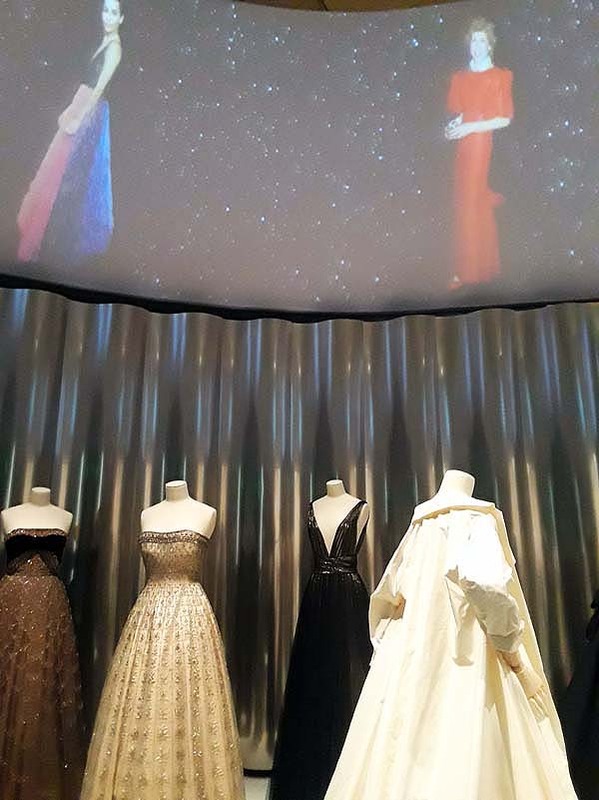 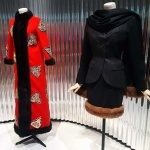 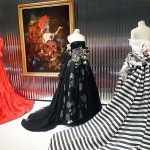 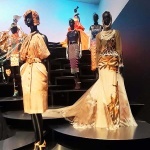 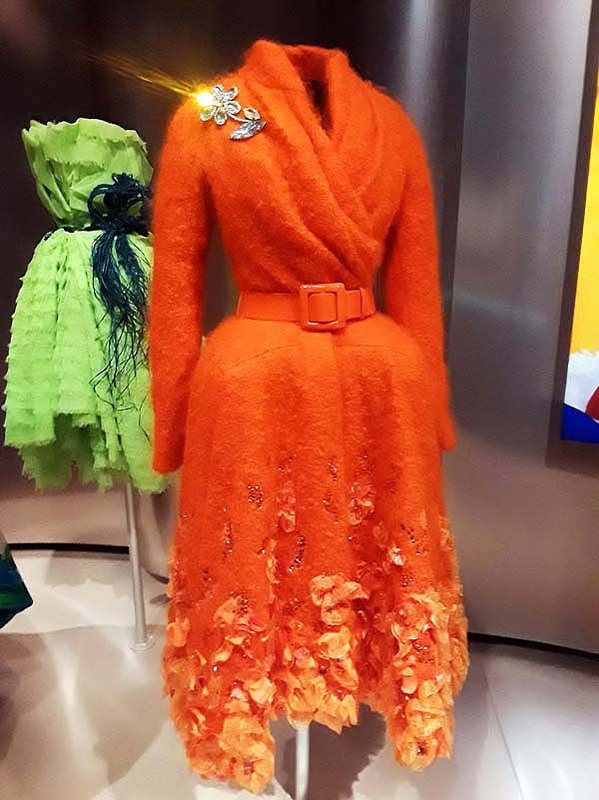 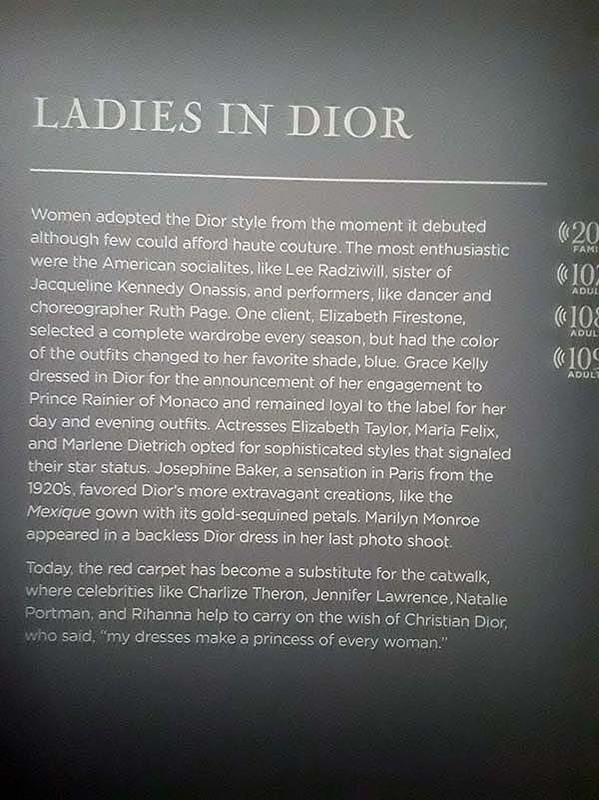 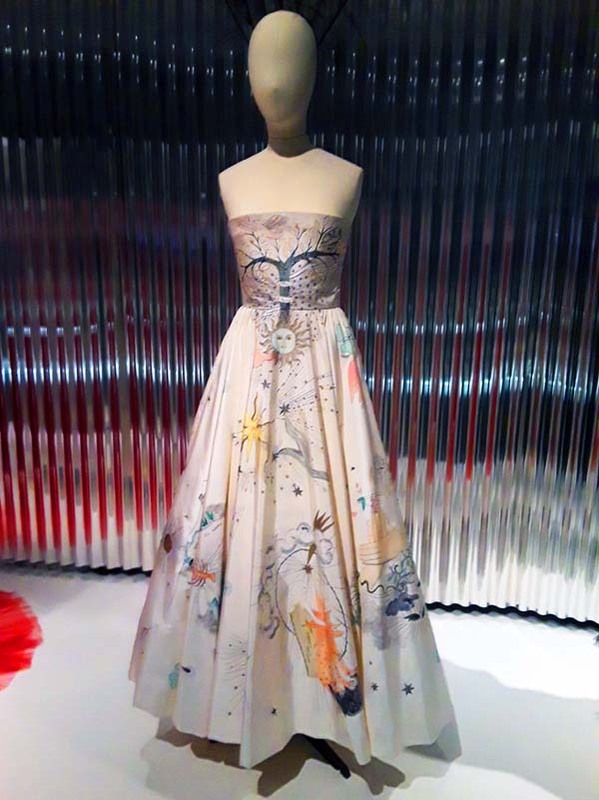 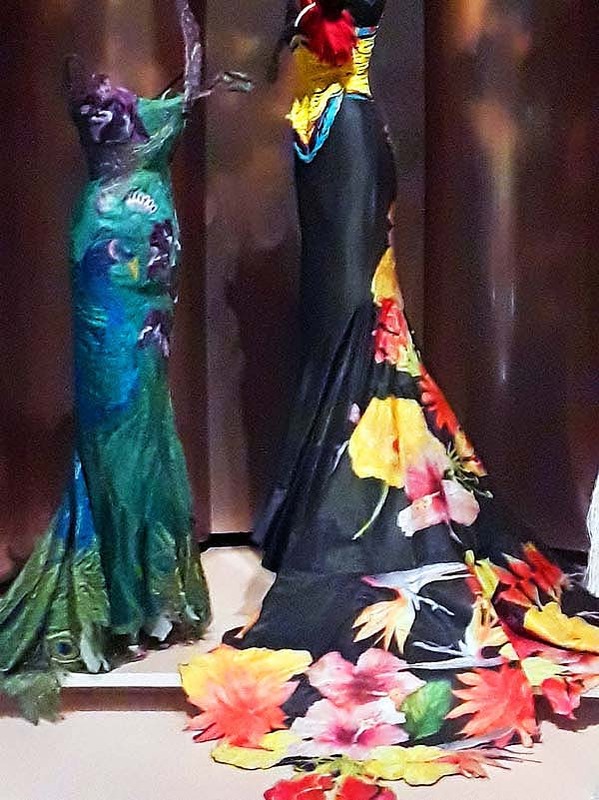 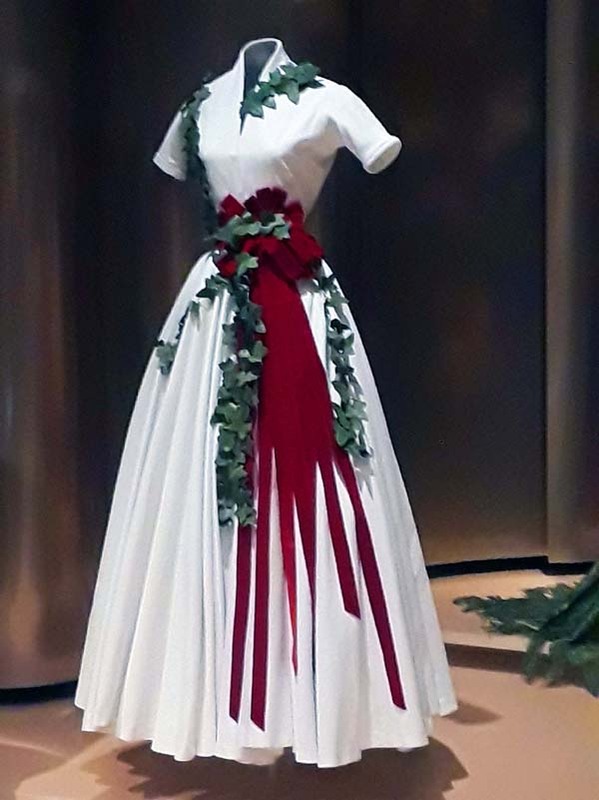 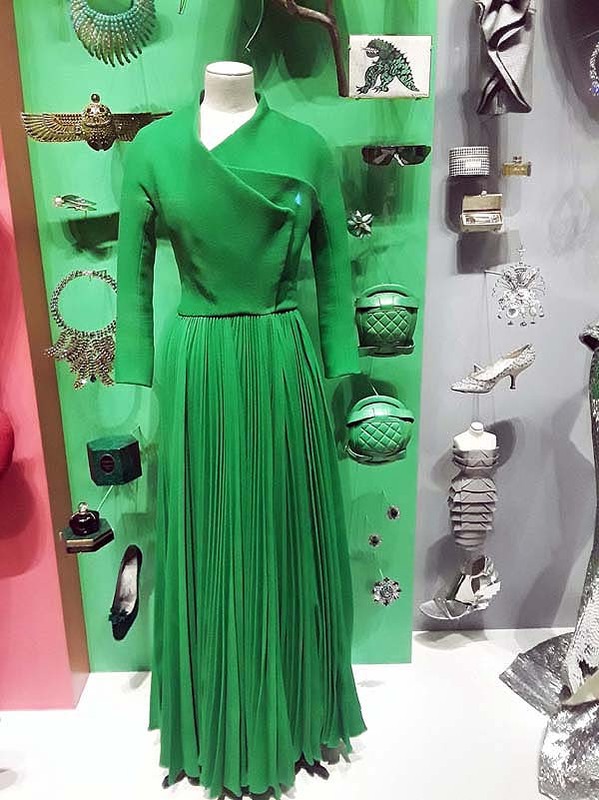 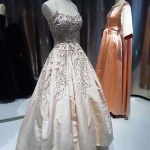 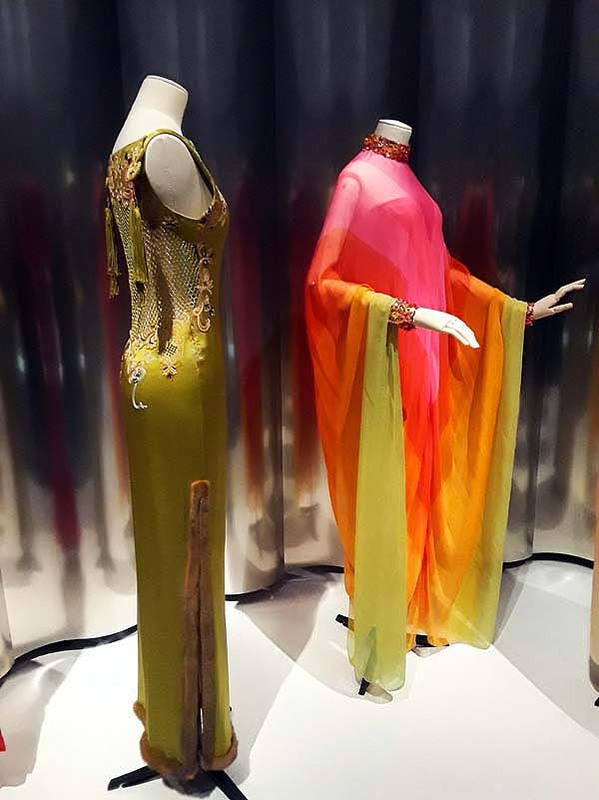 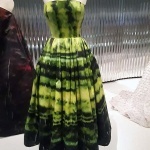 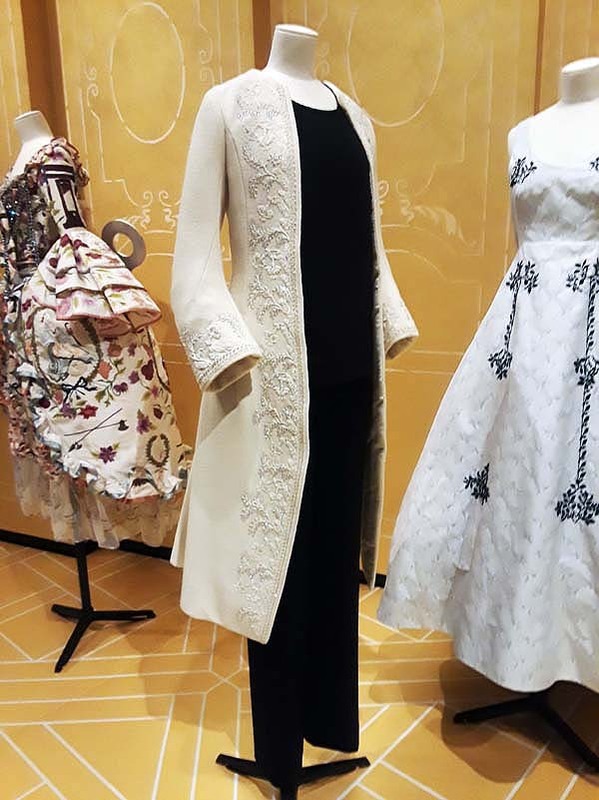 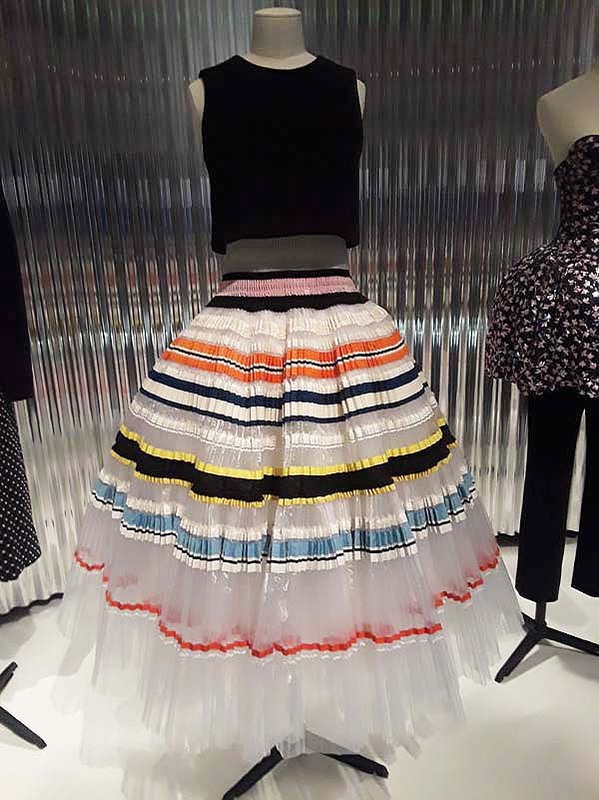 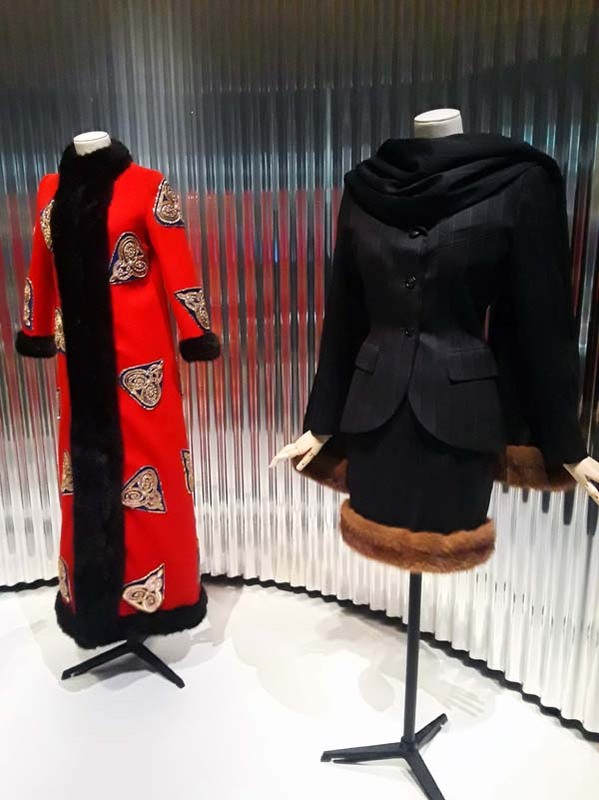 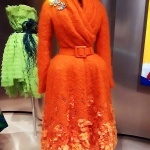 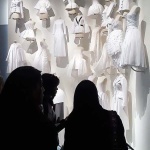 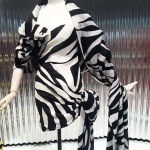 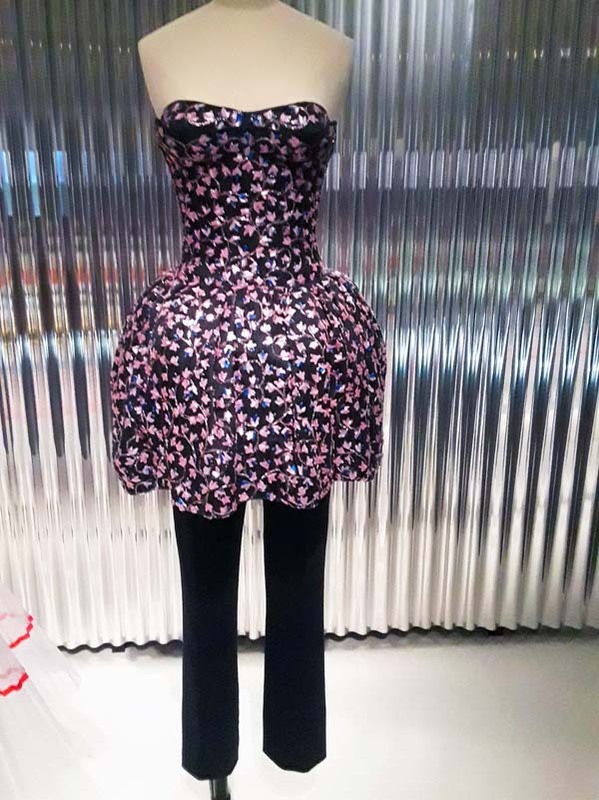 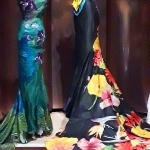 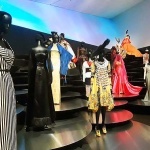 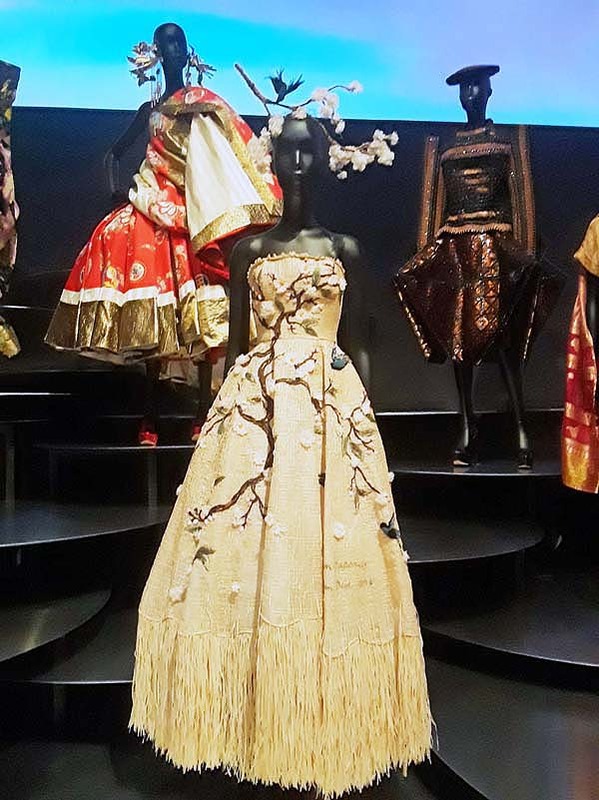 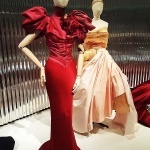 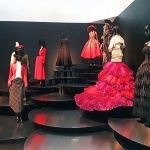 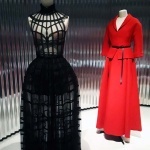 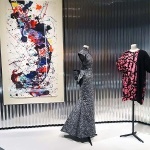 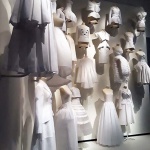 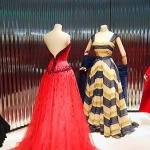 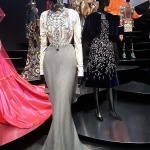 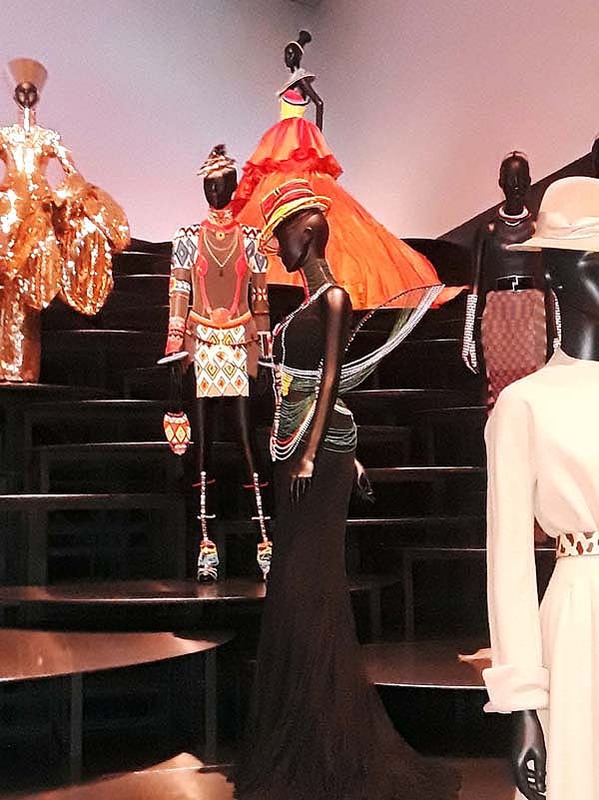 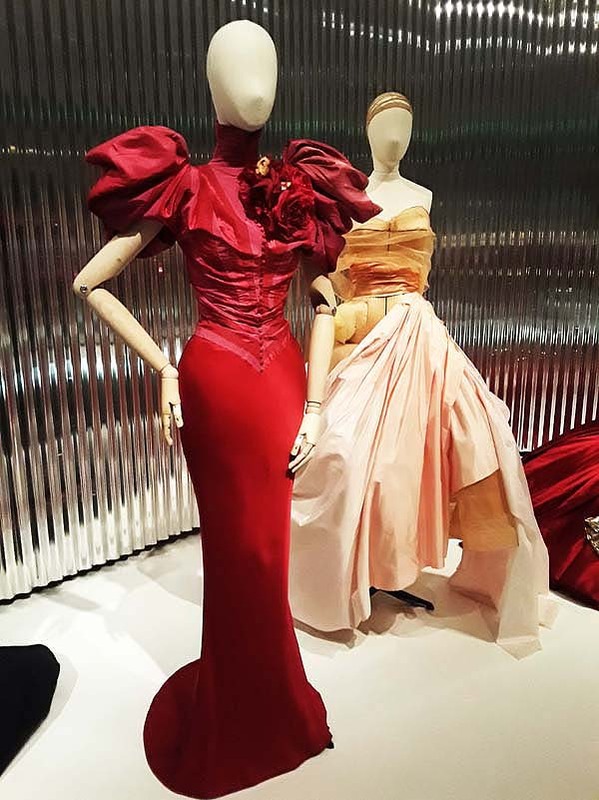 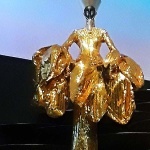 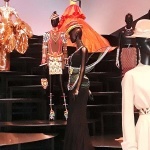 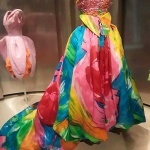 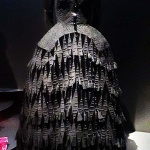 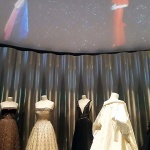 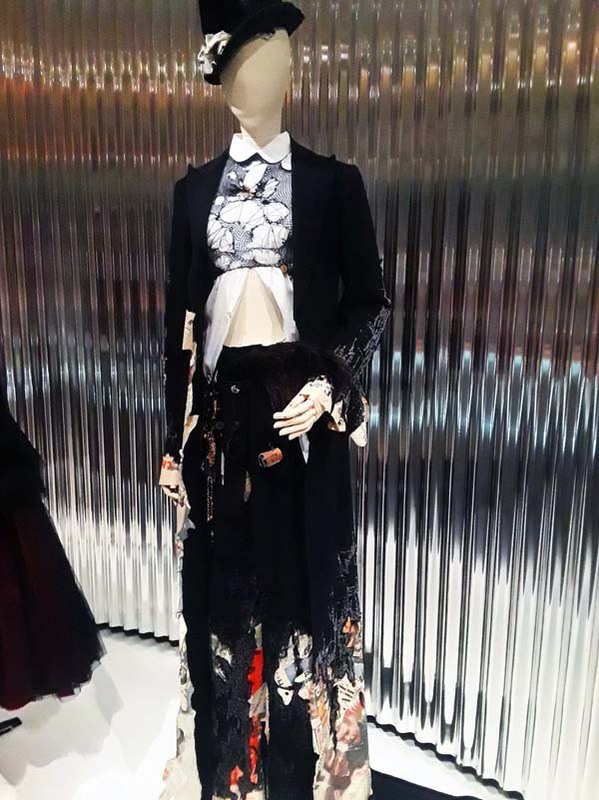 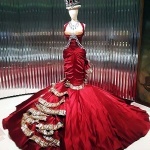 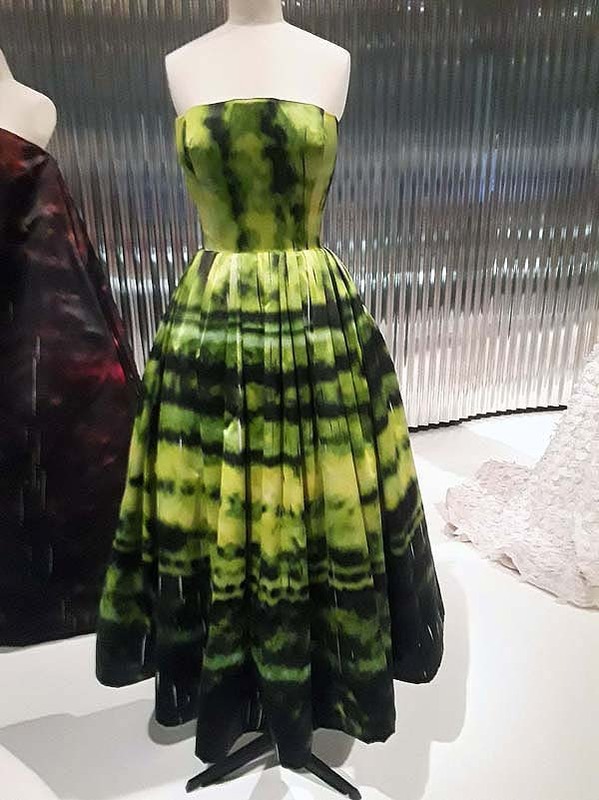 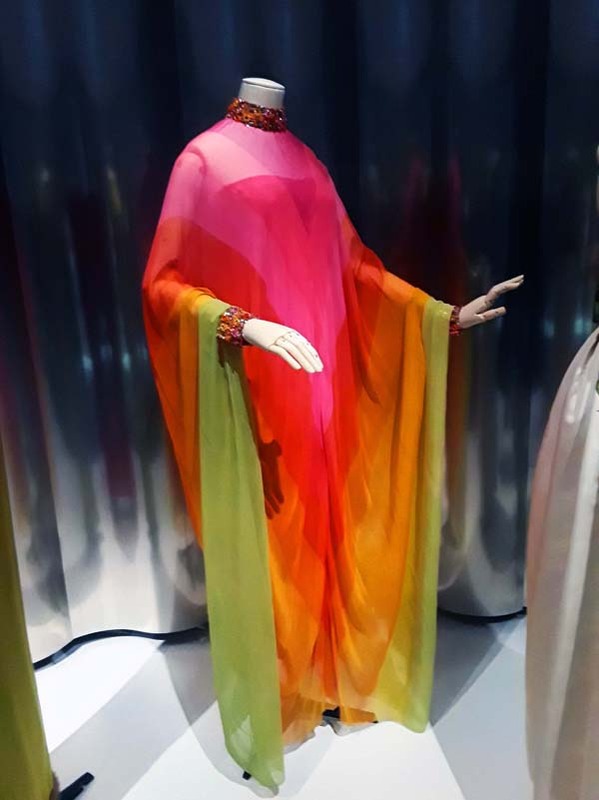 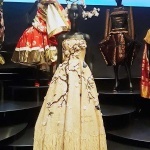 Dior is an exhibit that must be seen and experienced in person. 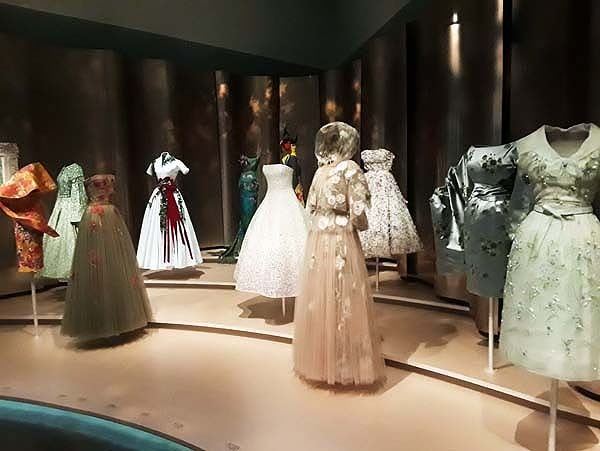 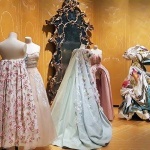 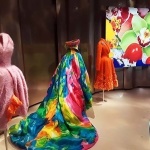 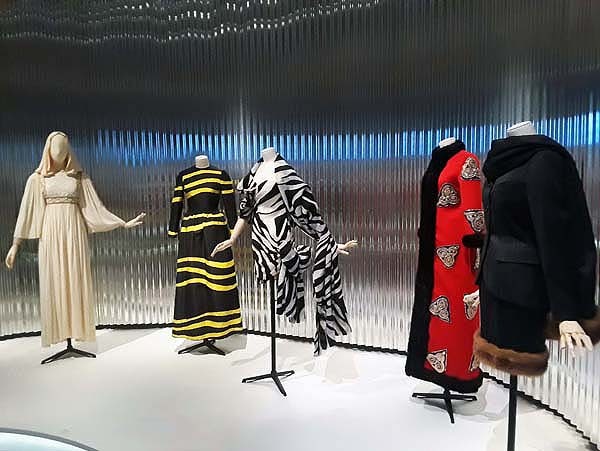 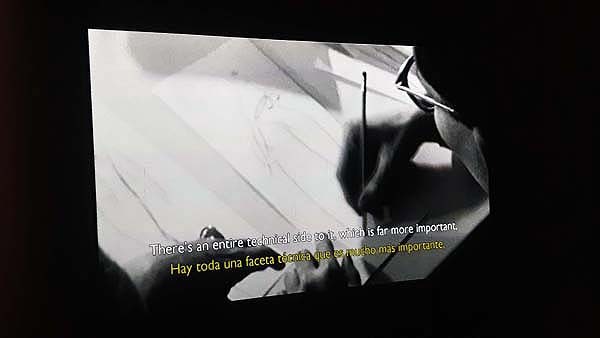 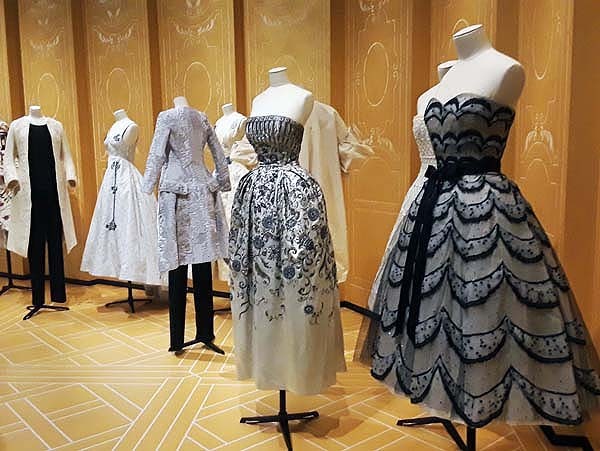 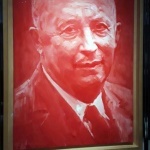 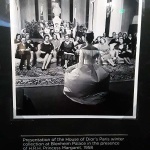 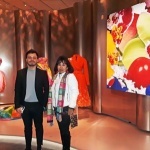 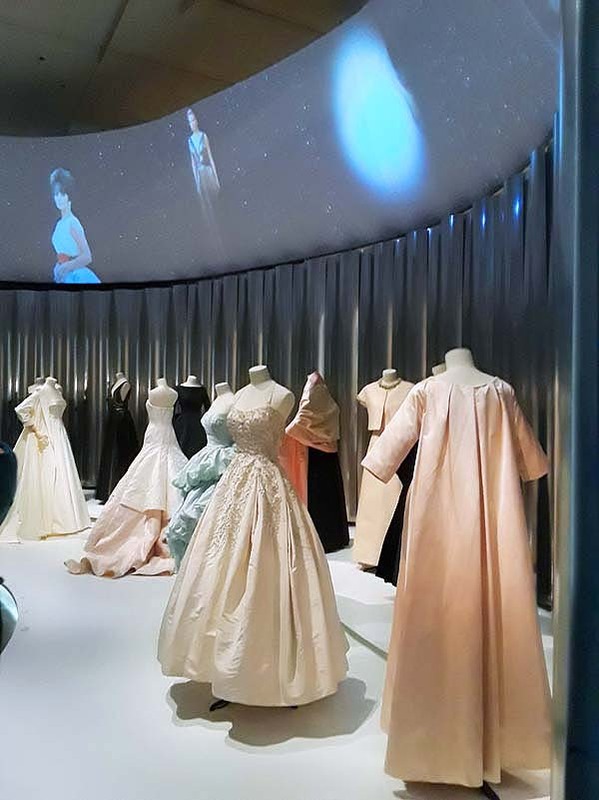 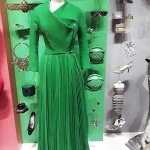 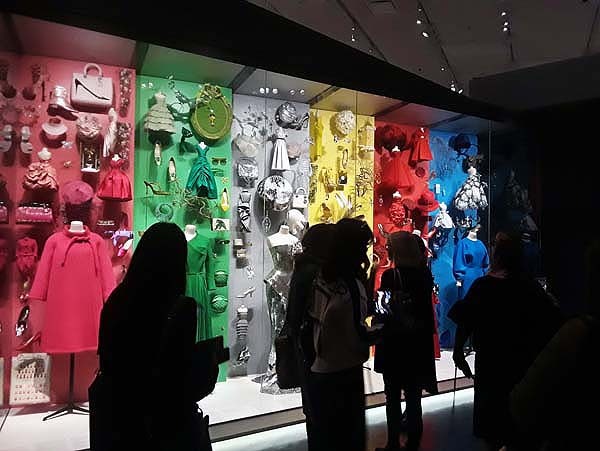 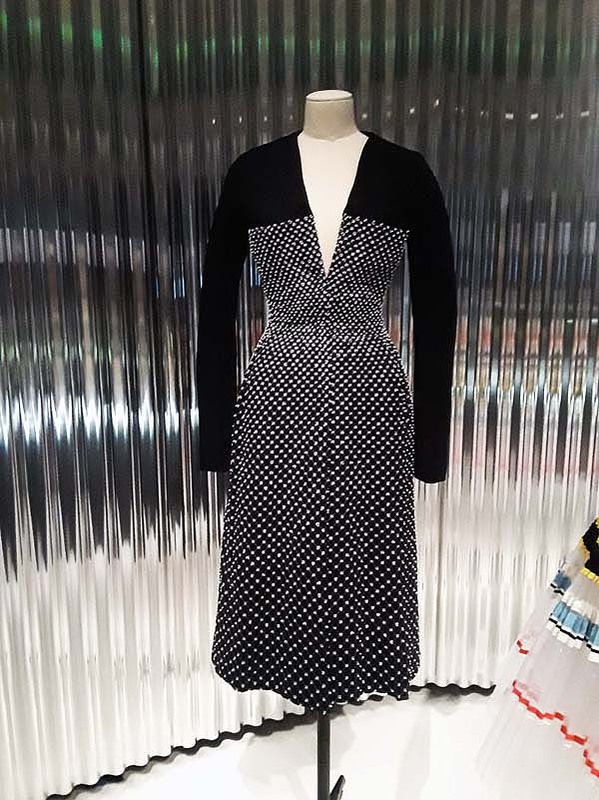 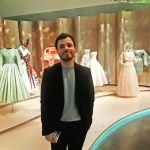 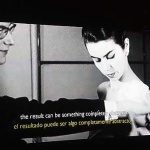 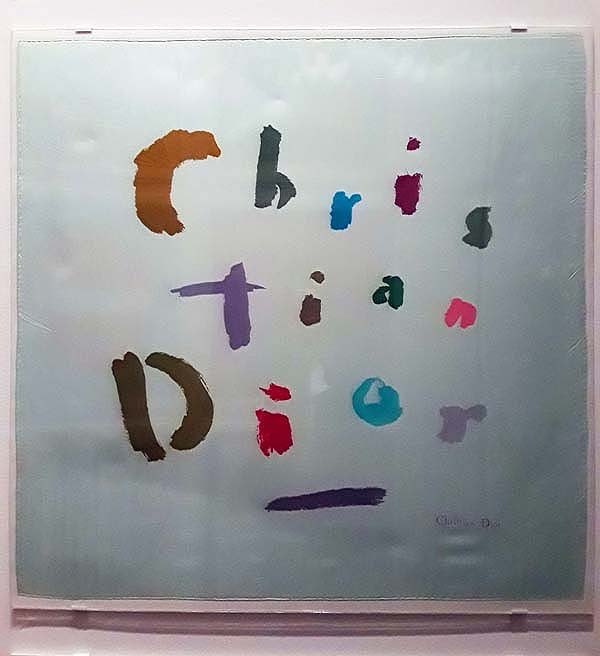 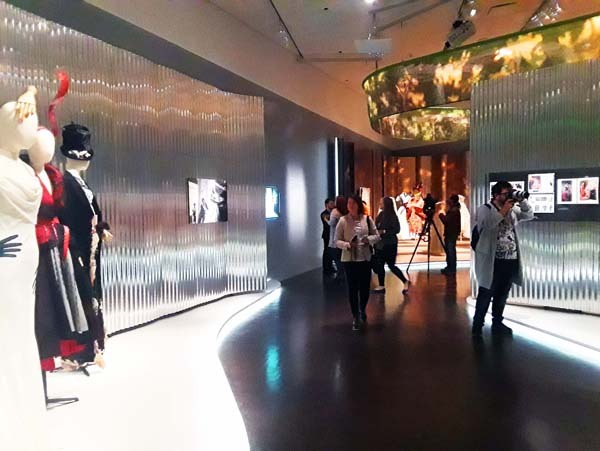 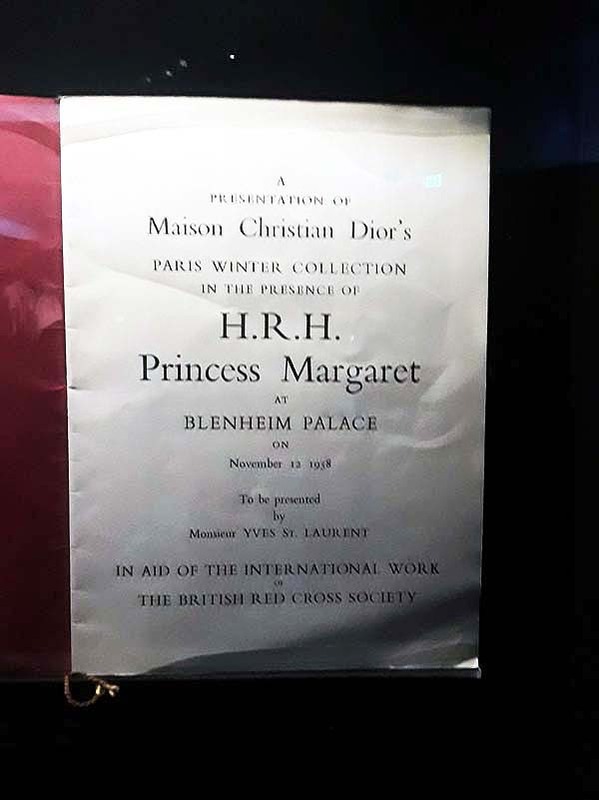 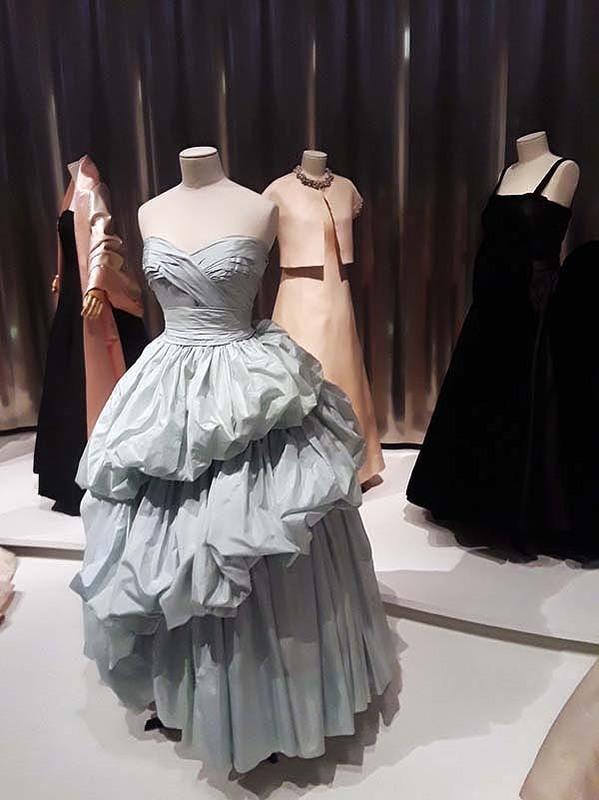 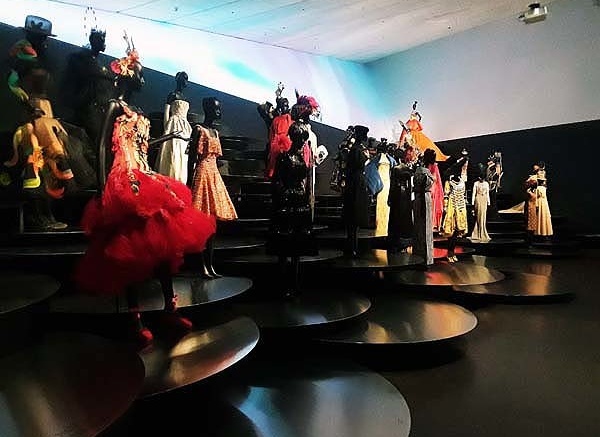 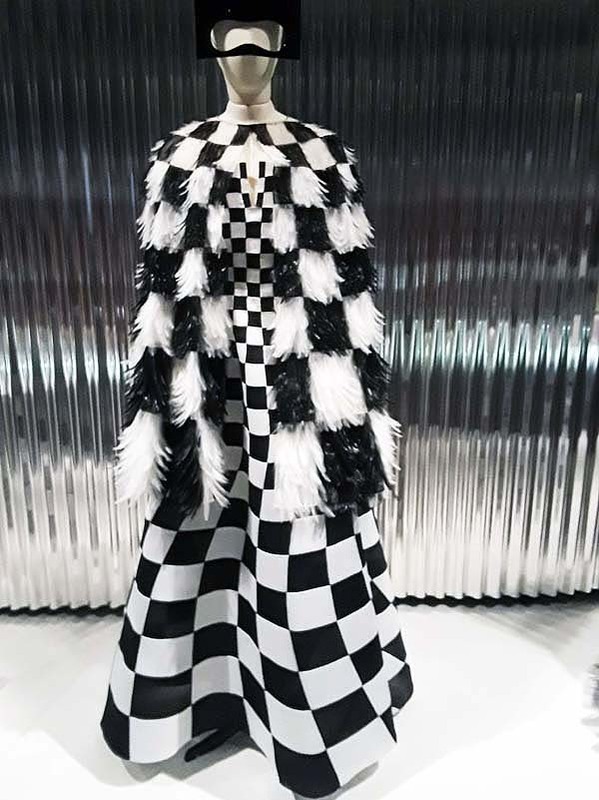 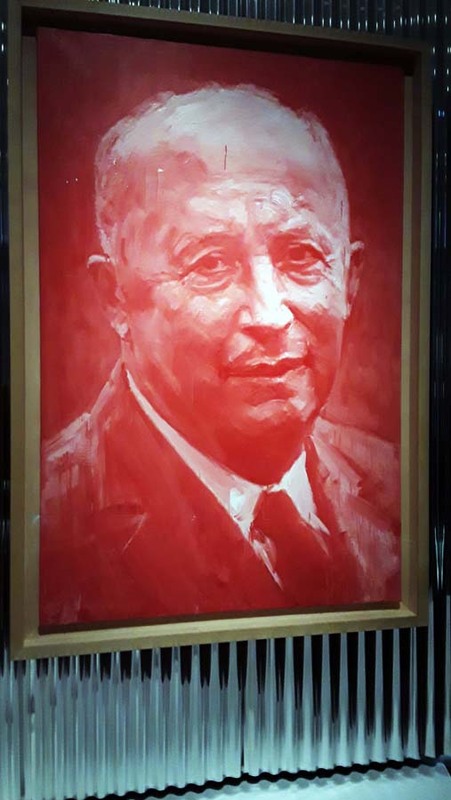 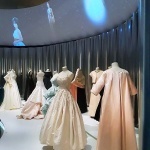 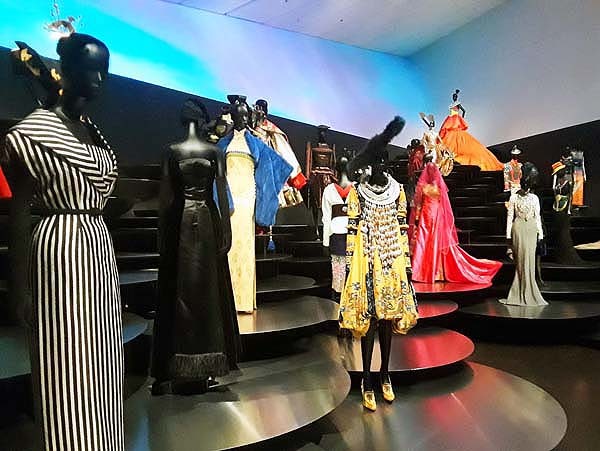 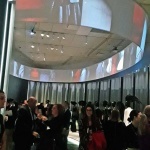 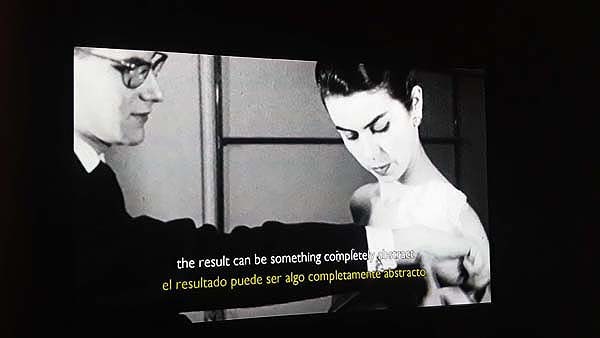 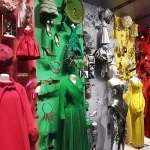 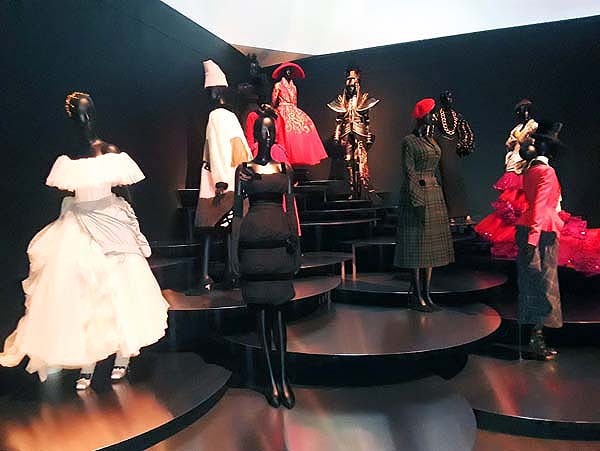 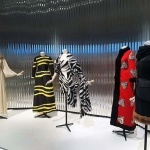 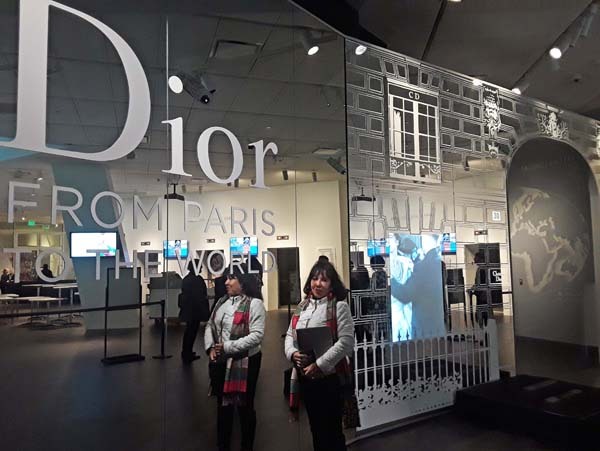 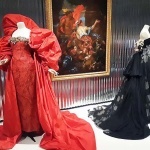 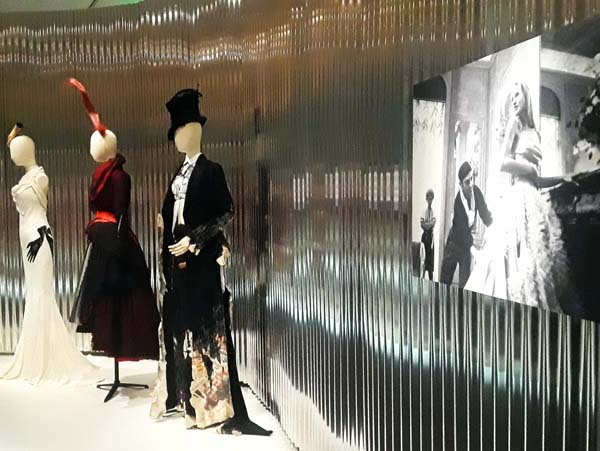 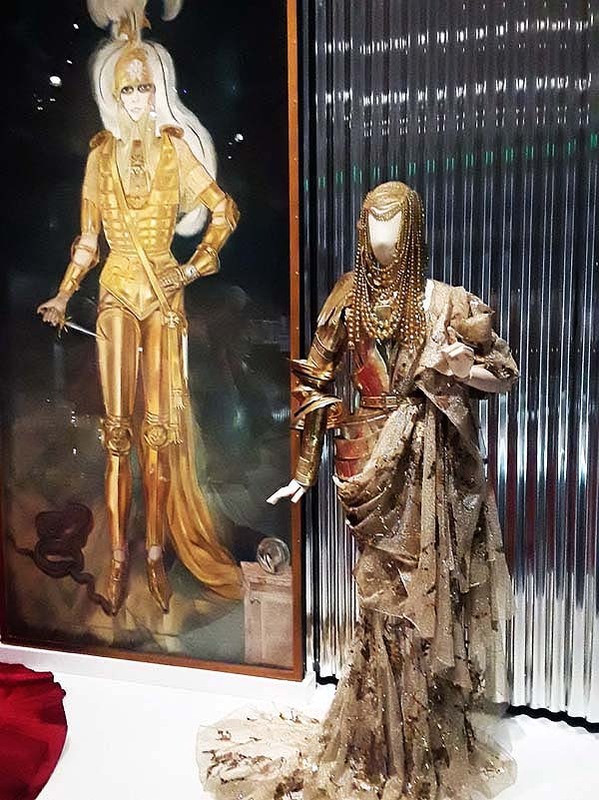 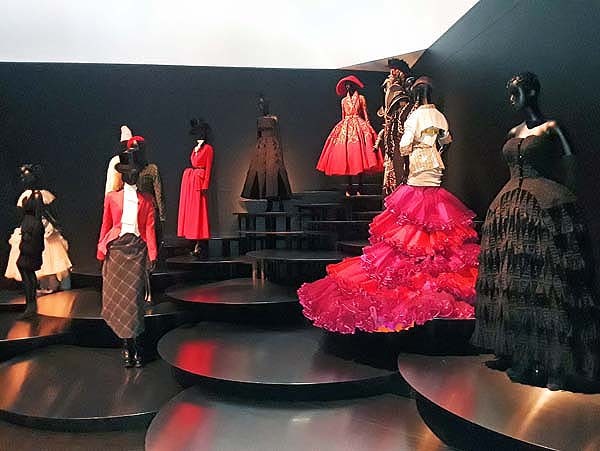 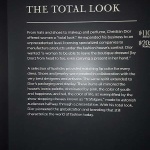 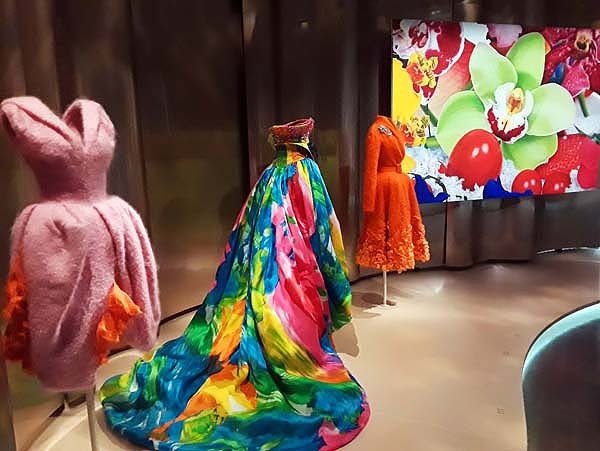 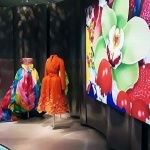 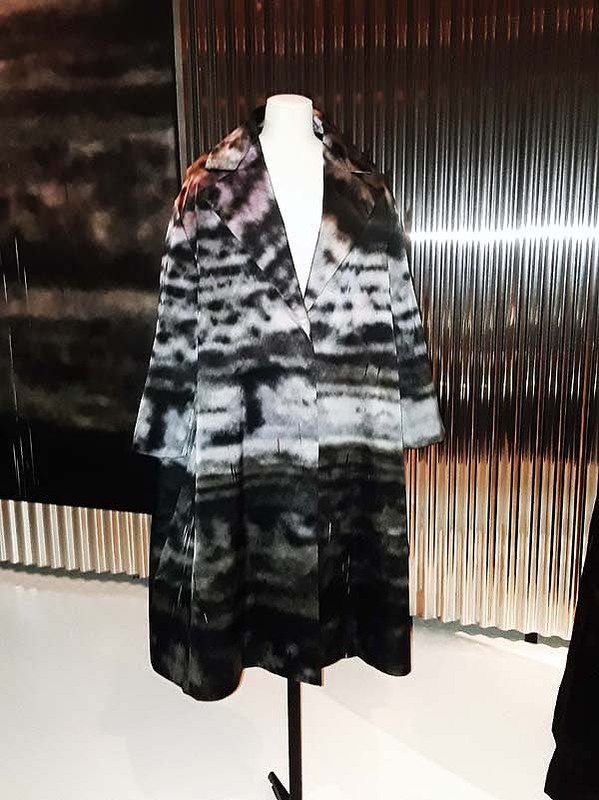 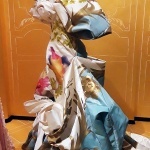 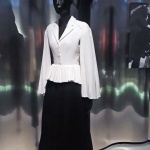 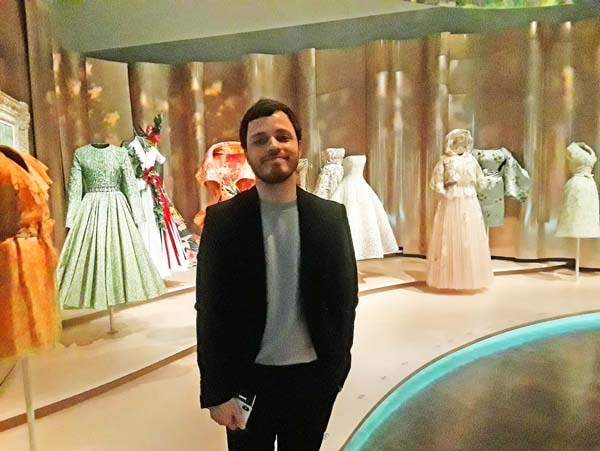 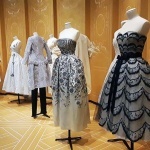 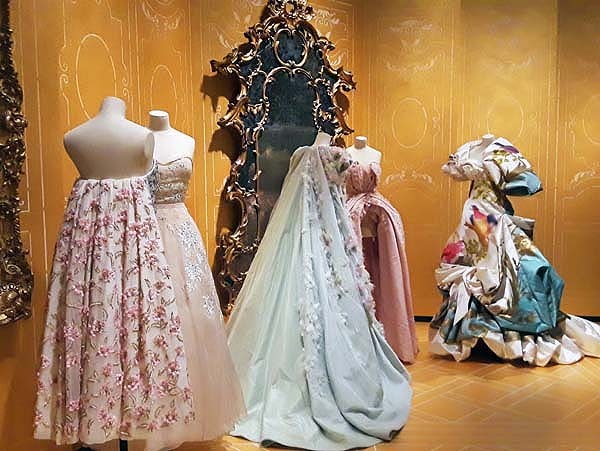 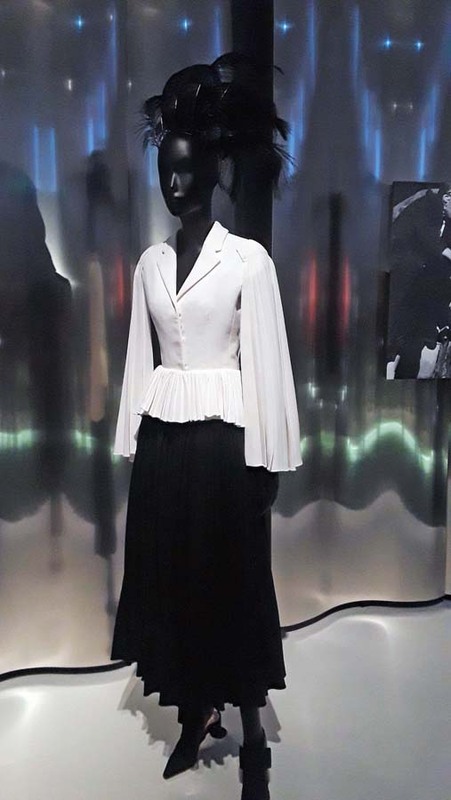 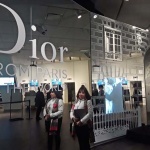 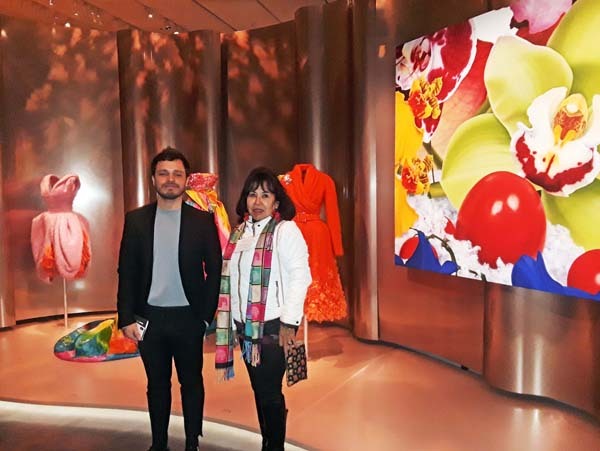 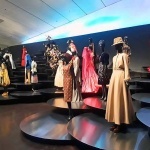 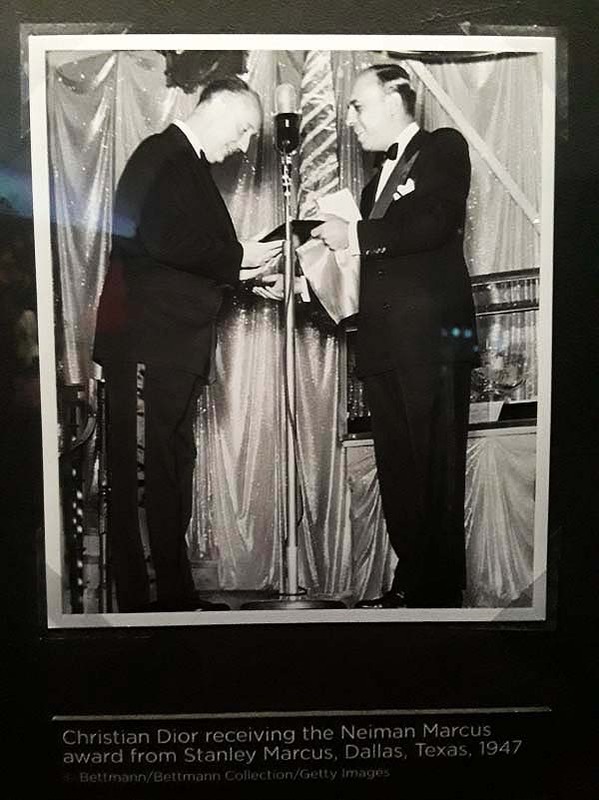 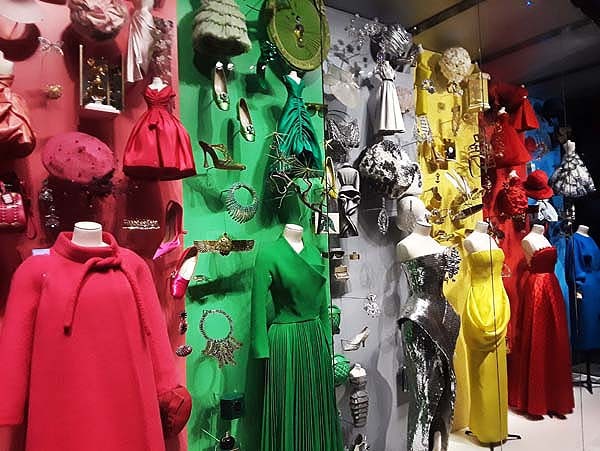 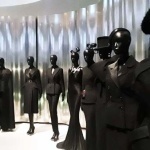 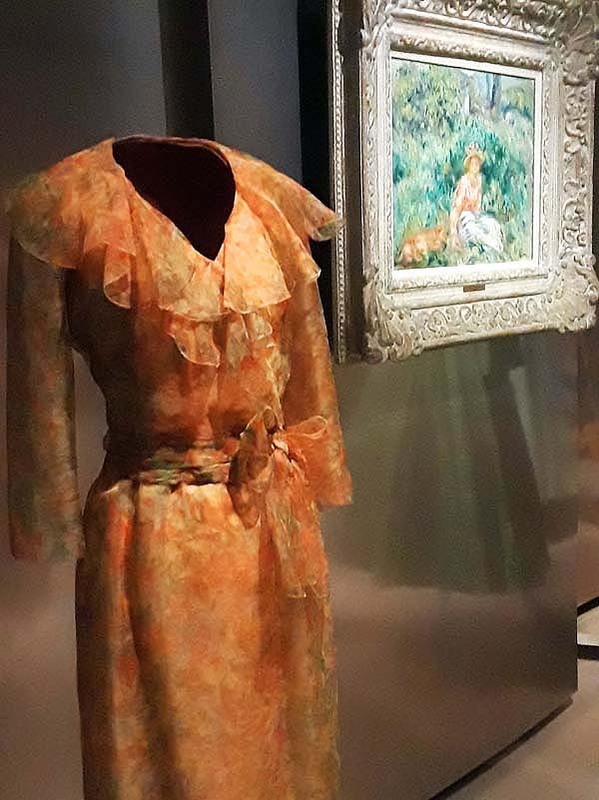 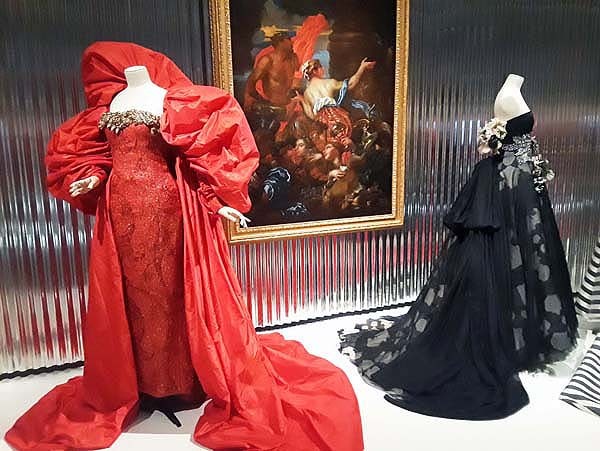 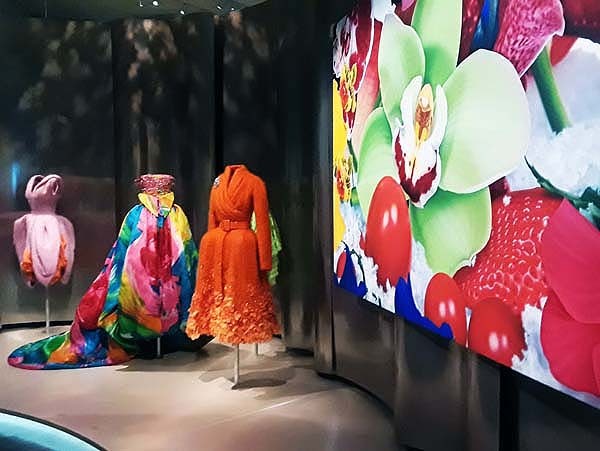 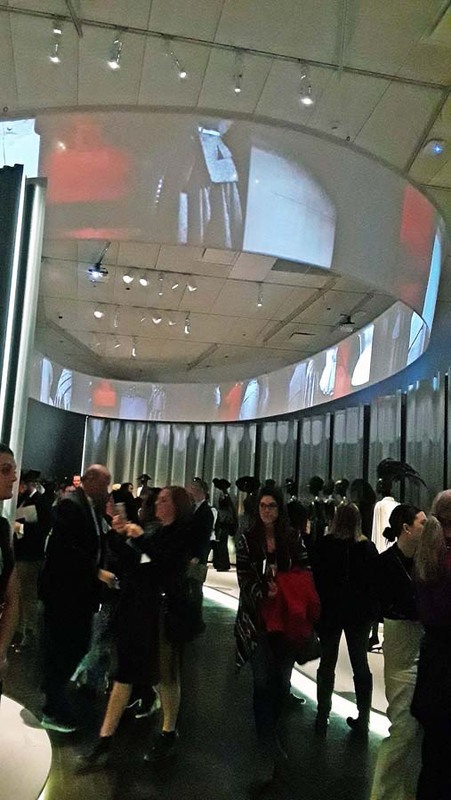 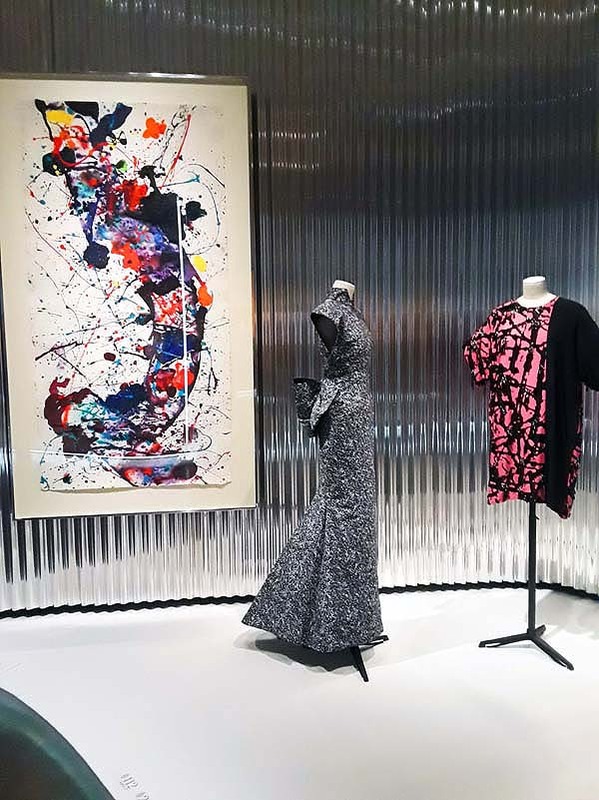 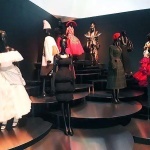 Not just for the 70 years of luxurious fashion it displays and the seven creative directors behind “The House of Dior” but also for the personal experience of wandering through the various rooms and the spaces between them. 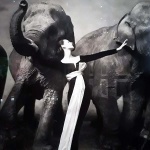 The pathways flow like a river through a garden. 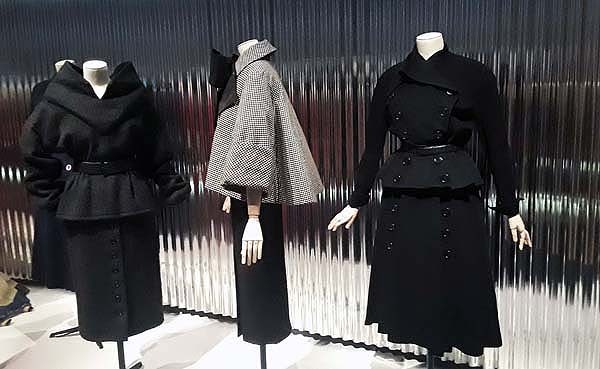 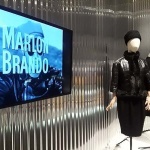 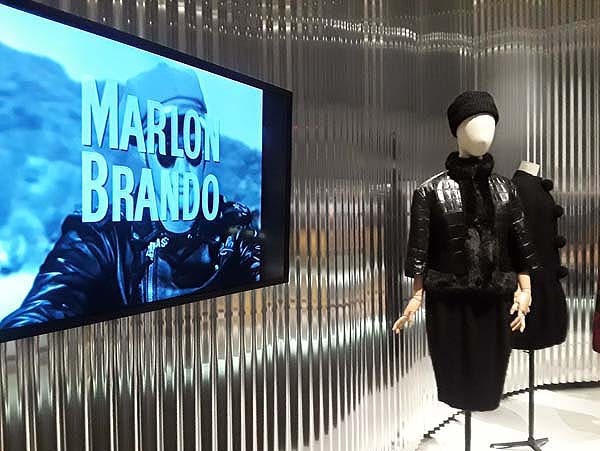 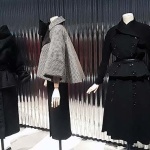 As the exhibition designer, Shohei Shigematsu, partner from the Office For Metropolitan Architecture (OMA) puts it, “Each room in the Hamilton building is defined by aluminum panels of varying curvatures, textures and profiles that echo various signature shapes of Dior garments. 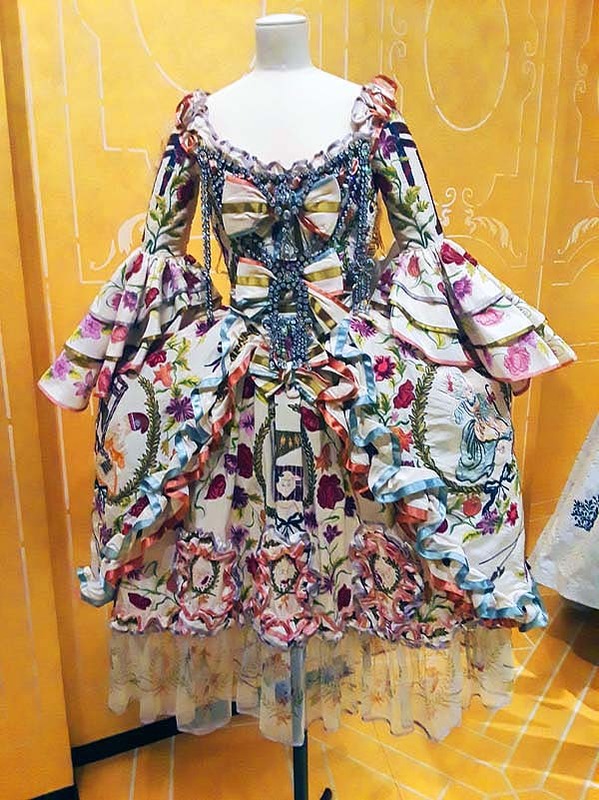 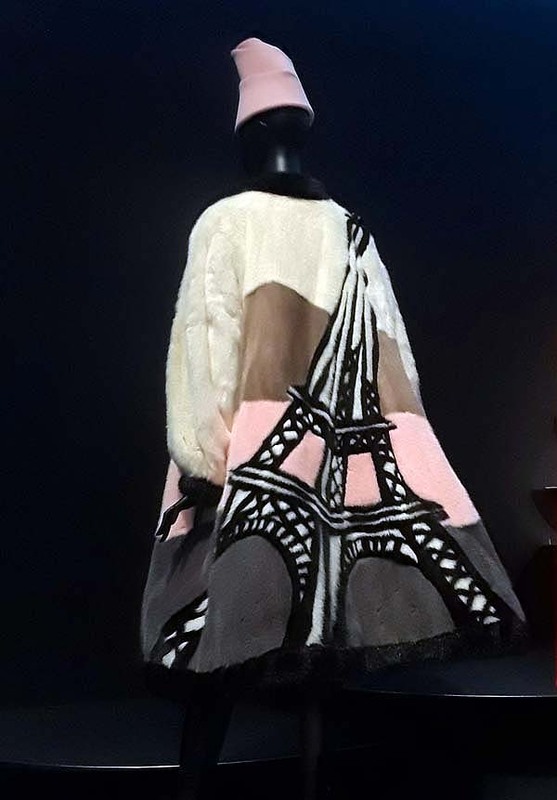 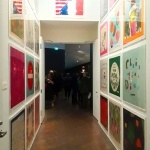 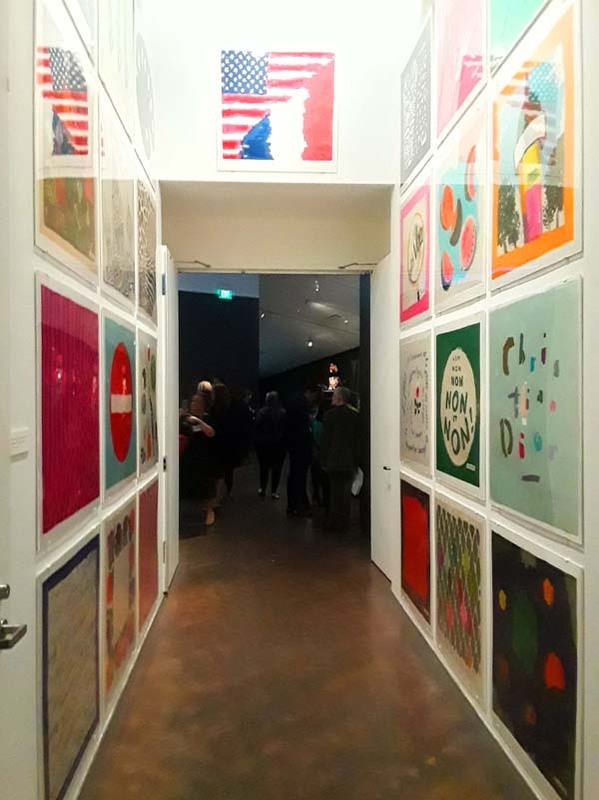 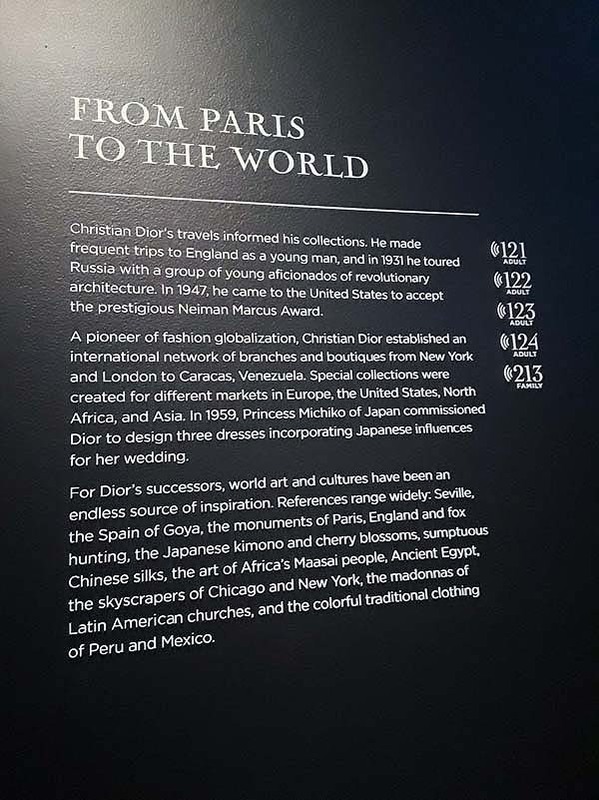 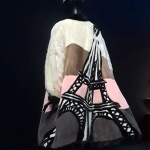 From there the path into the McCormick Gallery, which is given over to a single theme “From Paris to the World” highlights how designs from the house have been inspired by different cultures. 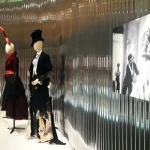 The aluminum material shifts from a vertical backdrop to a horizontal one. 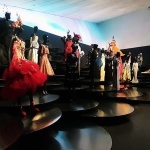 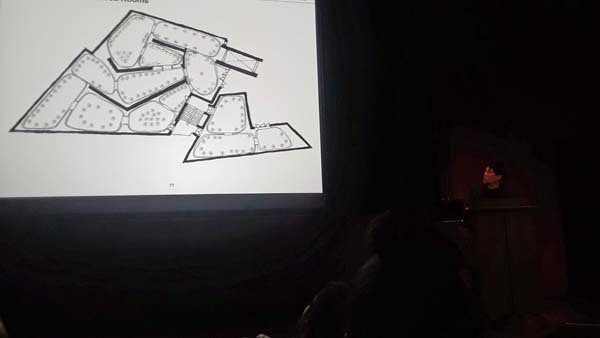 Petal shaped platforms crawl up the inclined walls of the gallery to create an immersive topography. 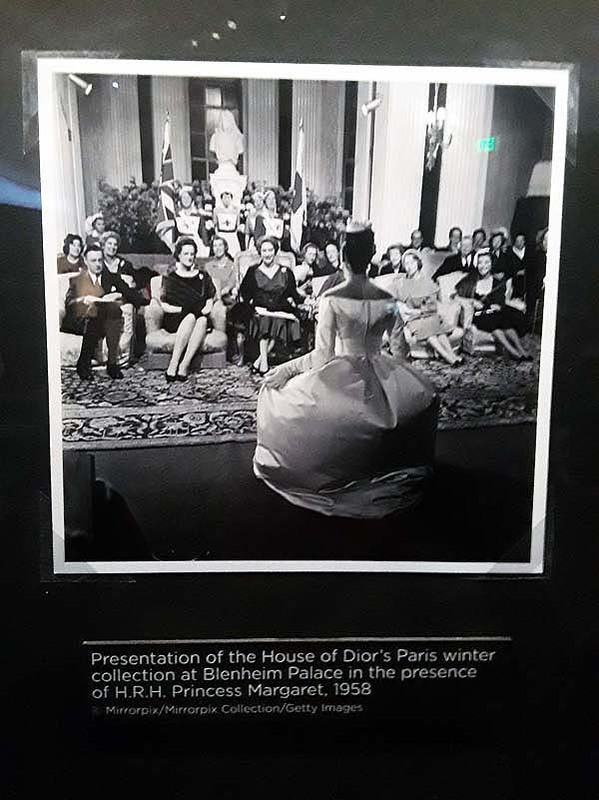 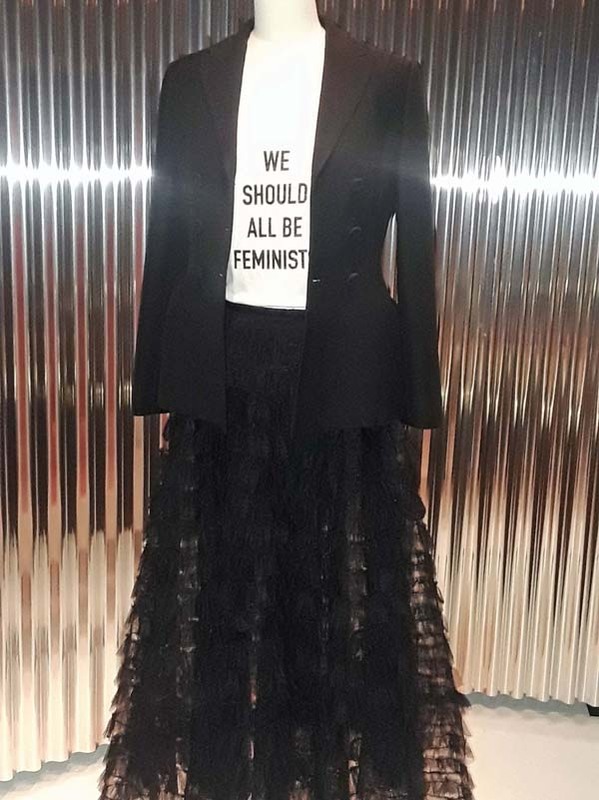 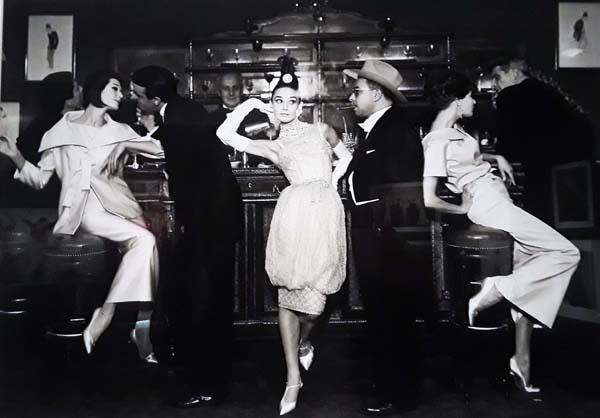 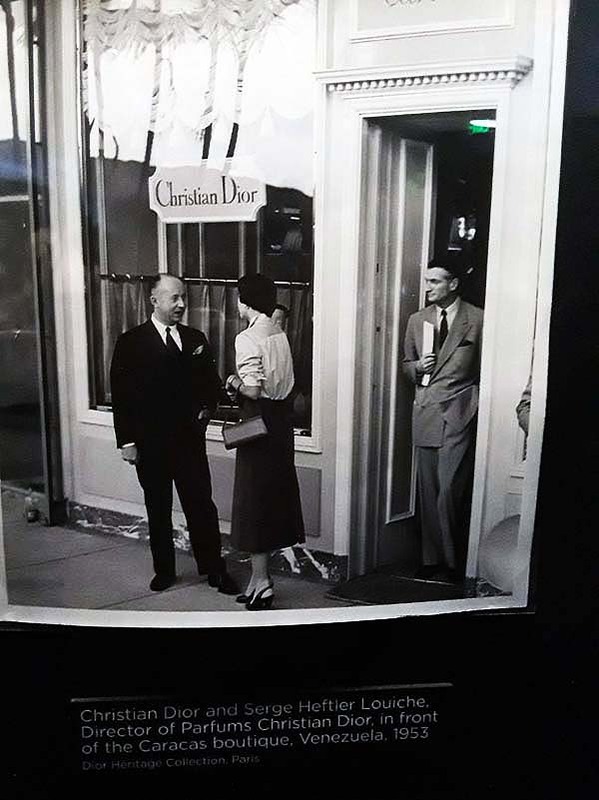 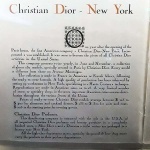 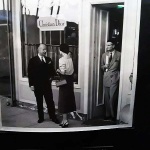 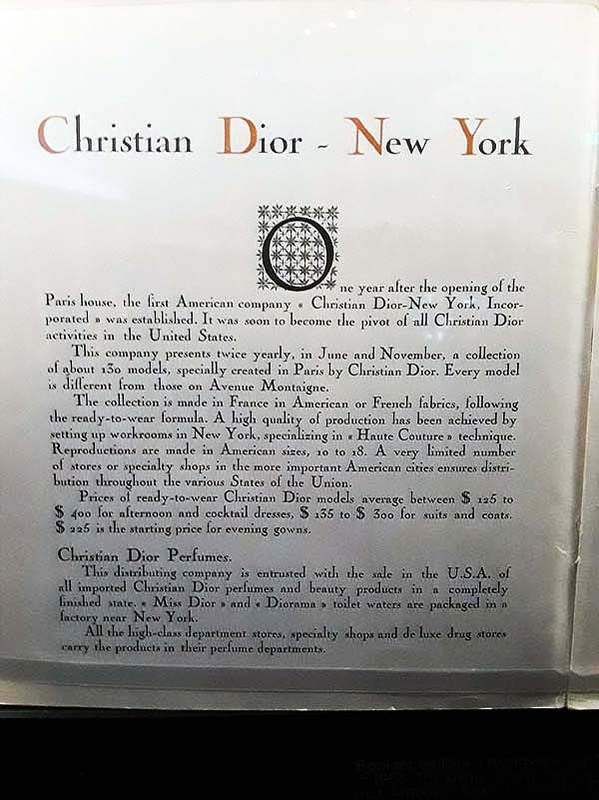 When Dior debuted his first collection in 1947 protesters in France, England and the United States denounced its wasteful luxury. 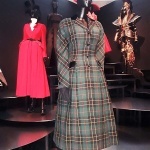 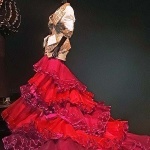 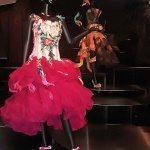 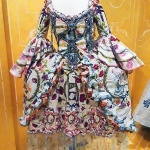 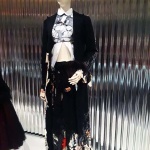 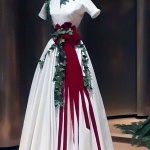 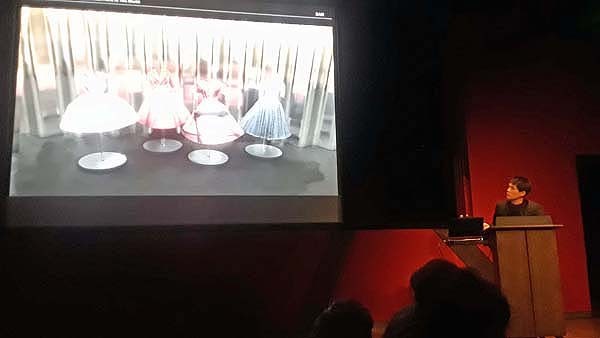 The new look was condemned for its sensual silhouette and for covering up the female leg with long skirts. 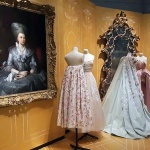 Timed Tickets are $24 -$28 for adults with audio tour, $5 for youth 6 to 18 and children under five are FREE!